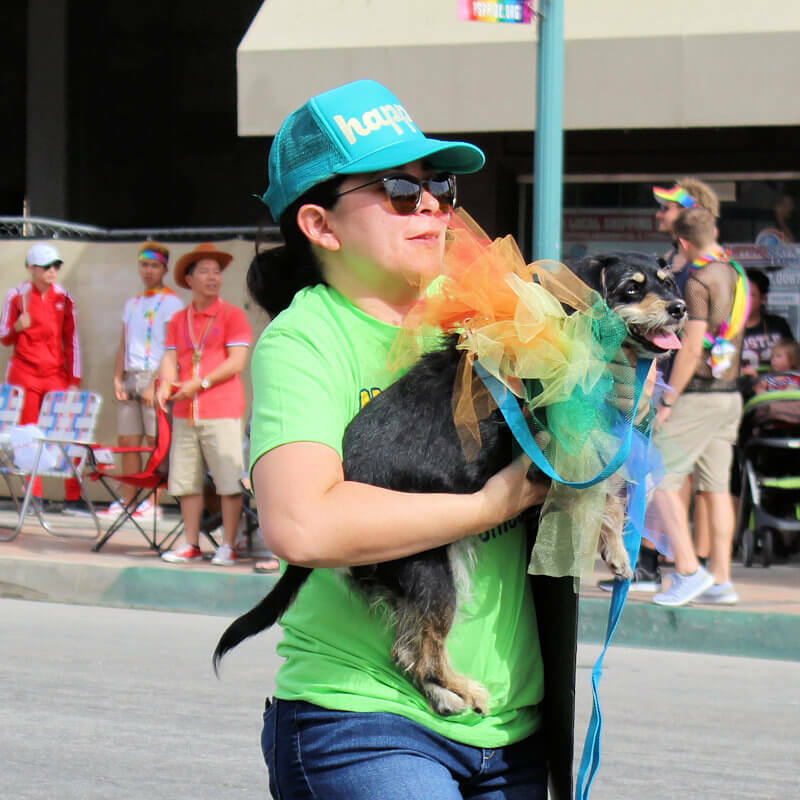 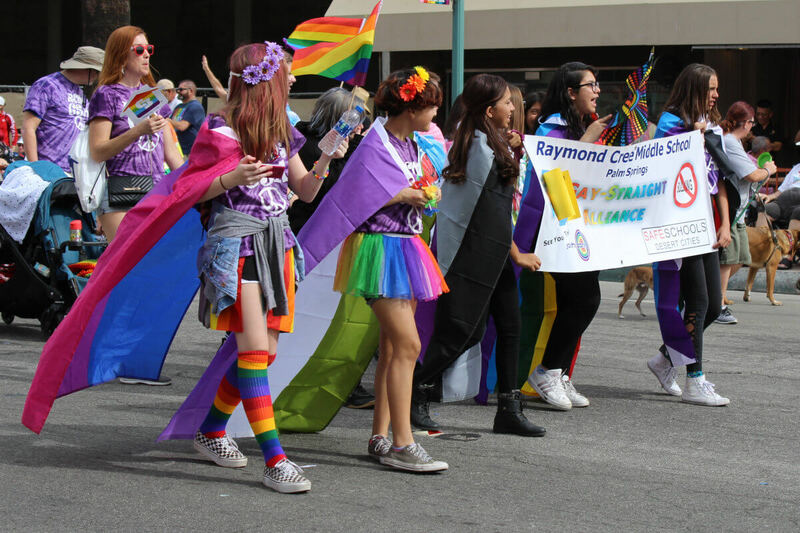 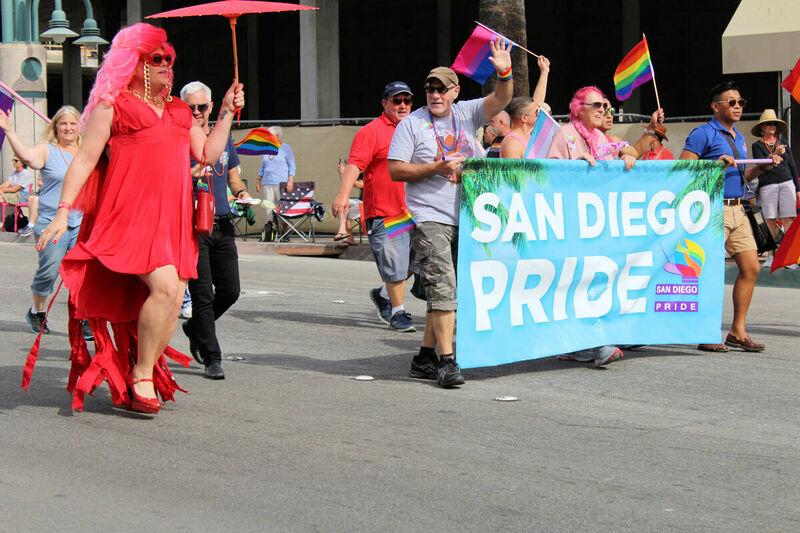 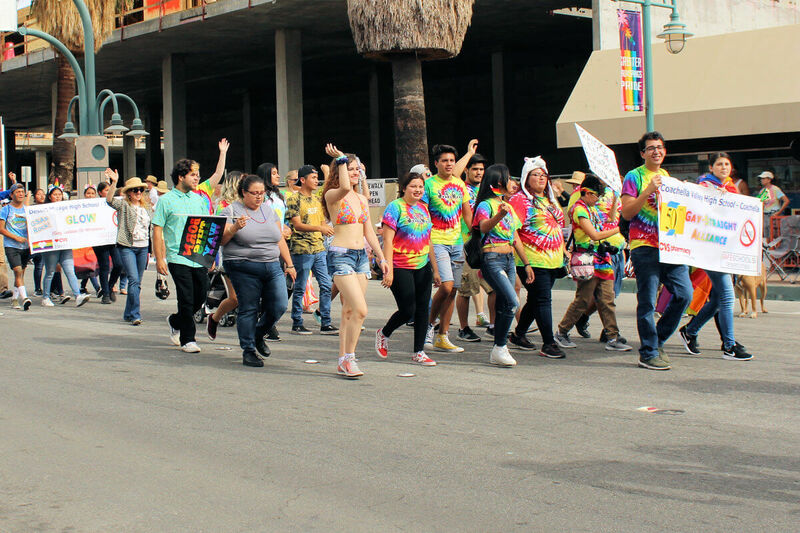 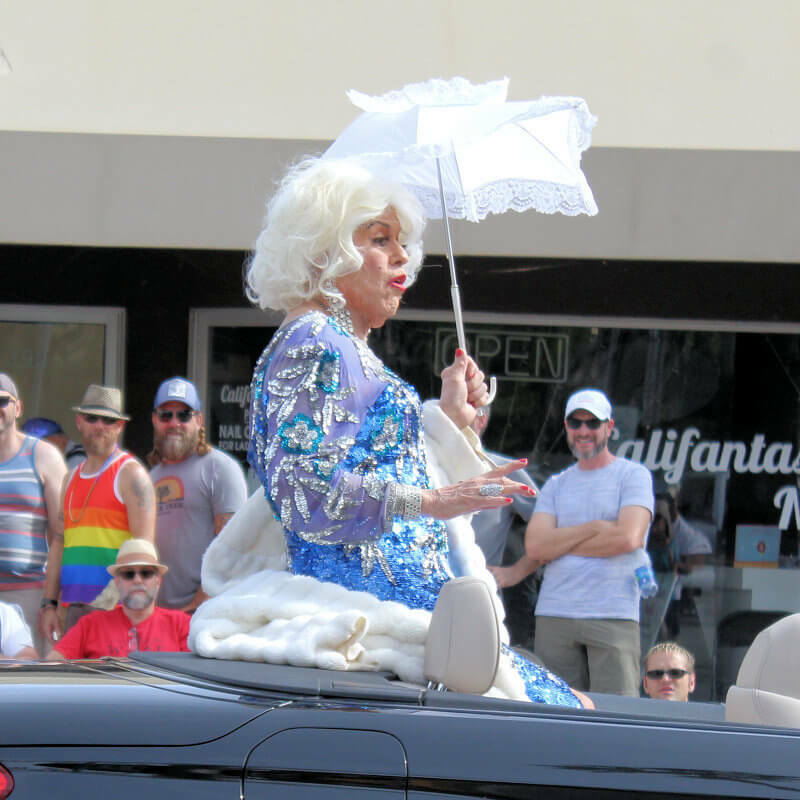 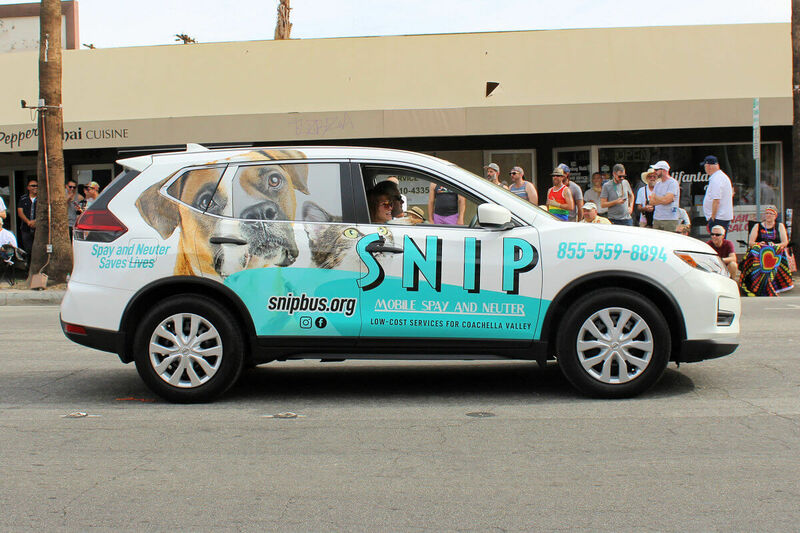 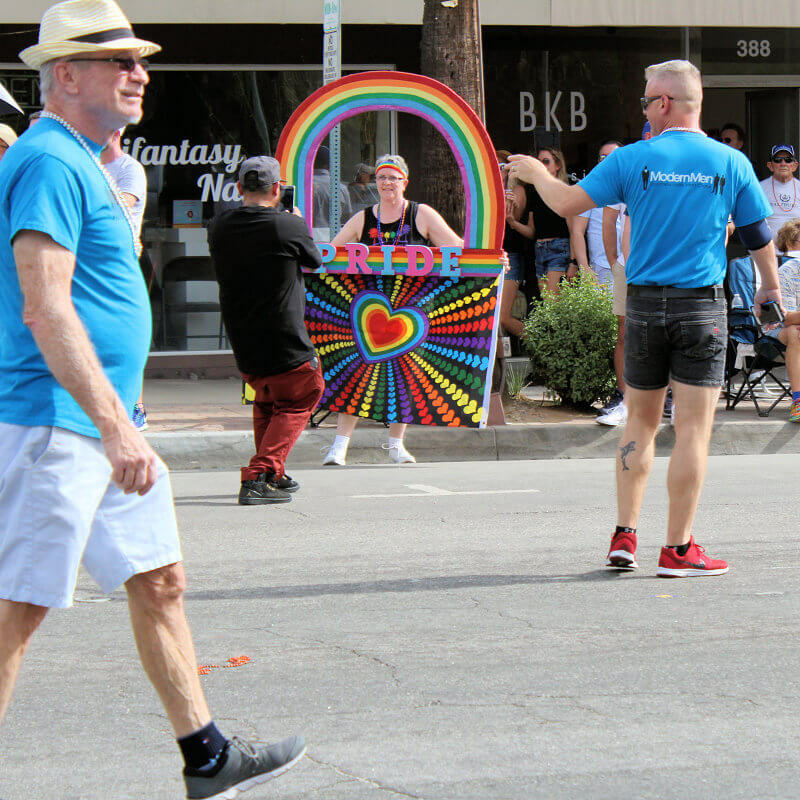 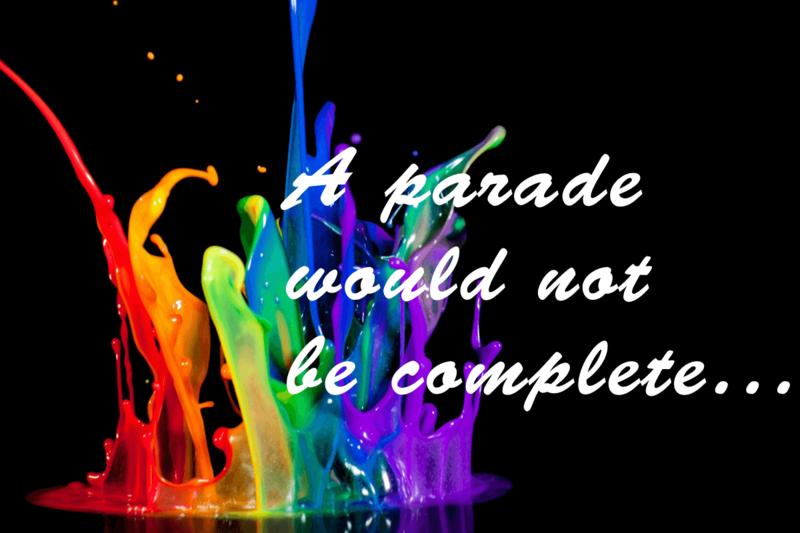 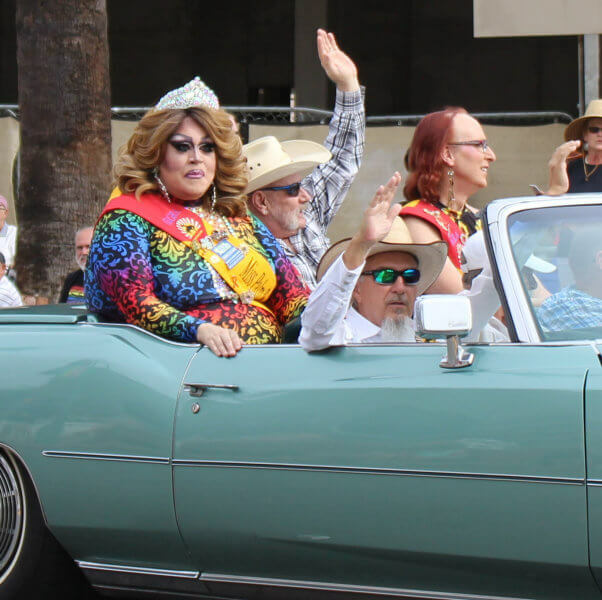 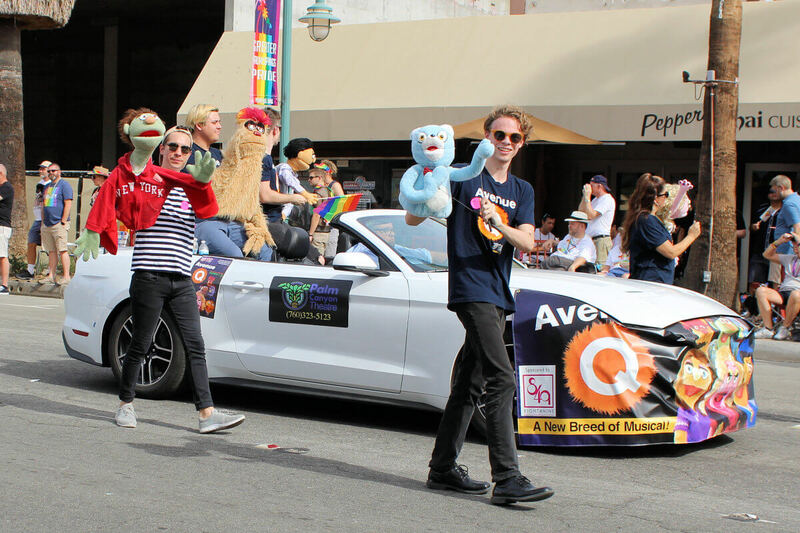 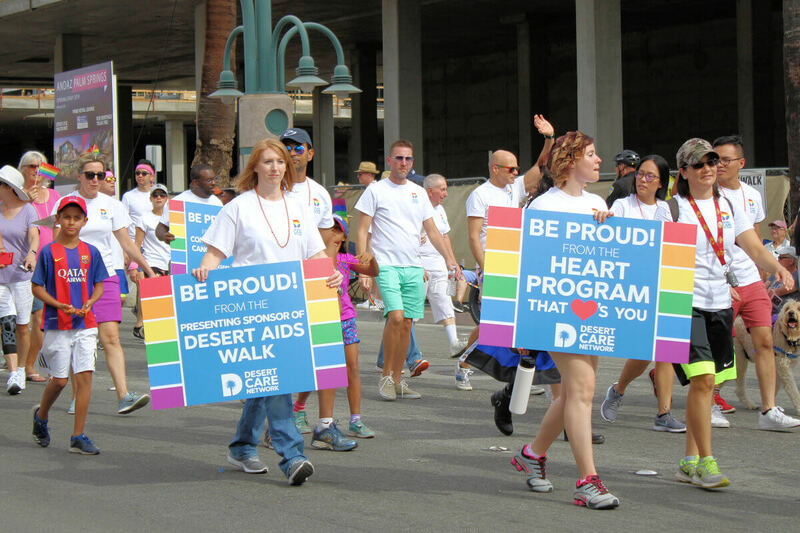 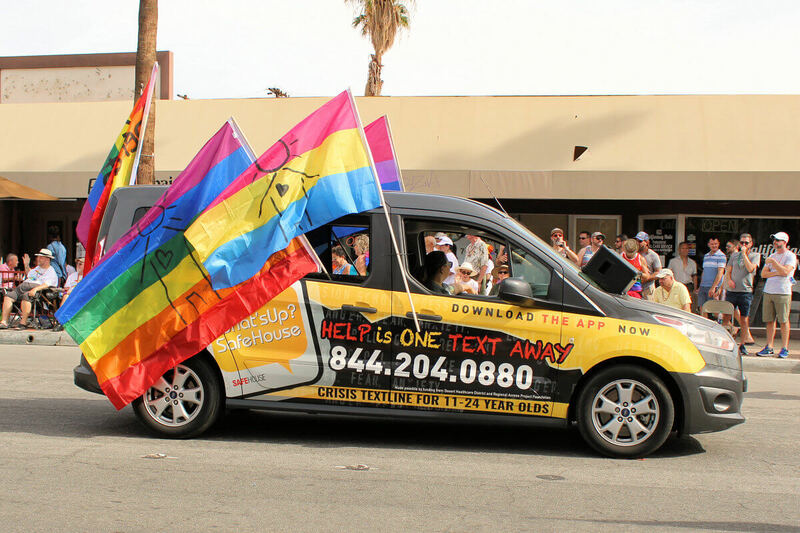 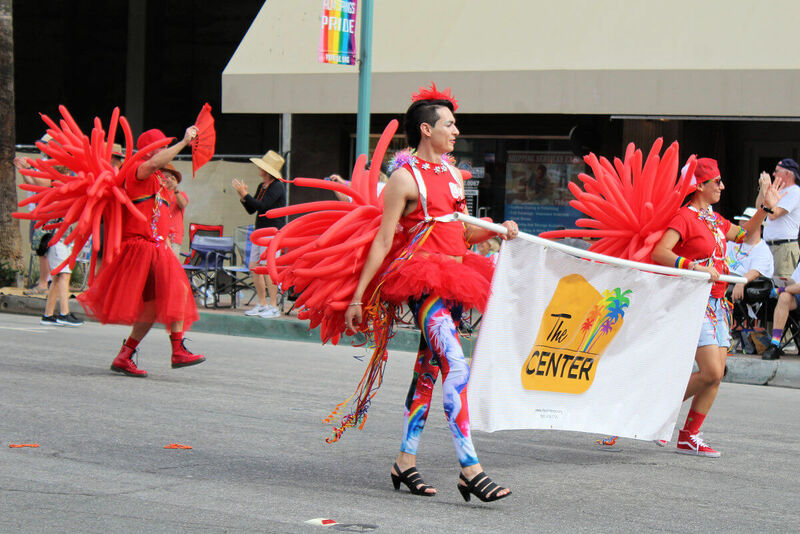 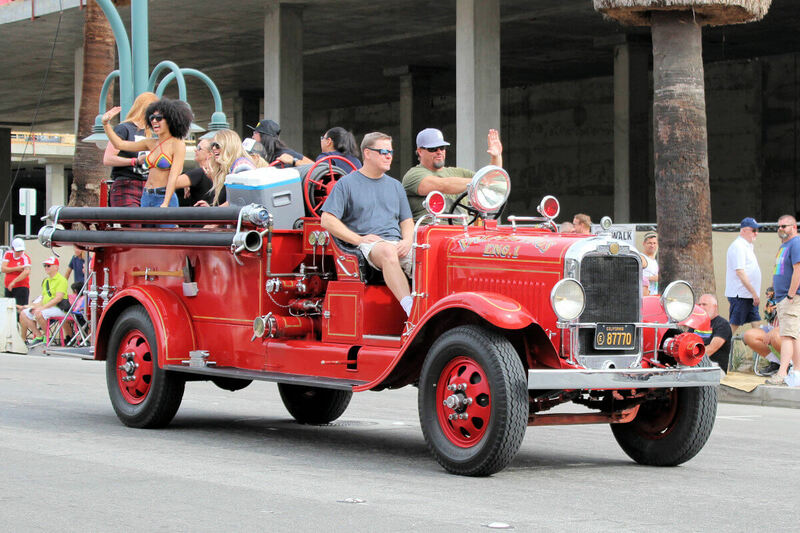 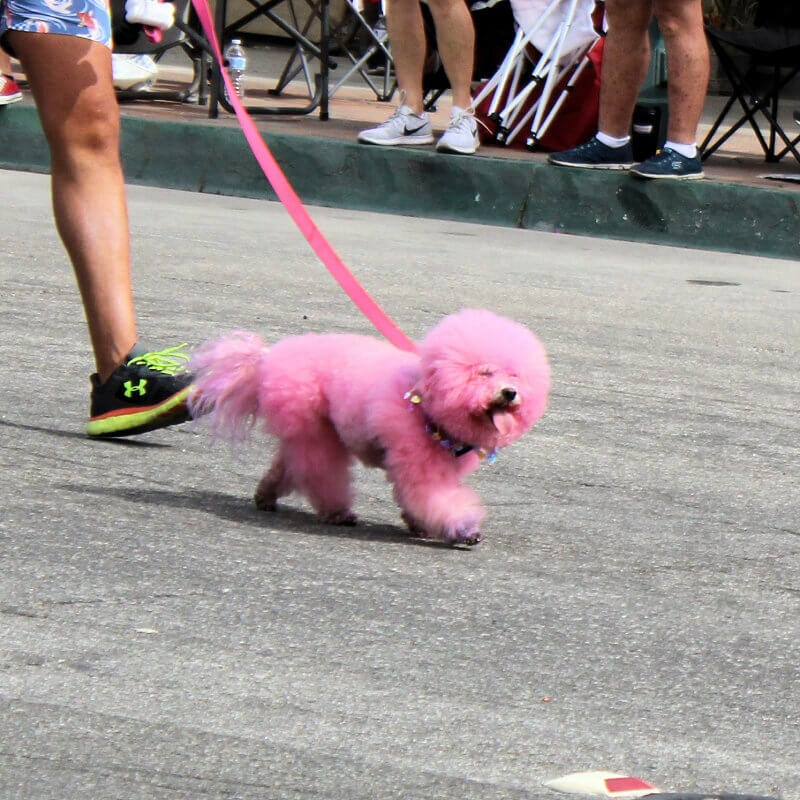 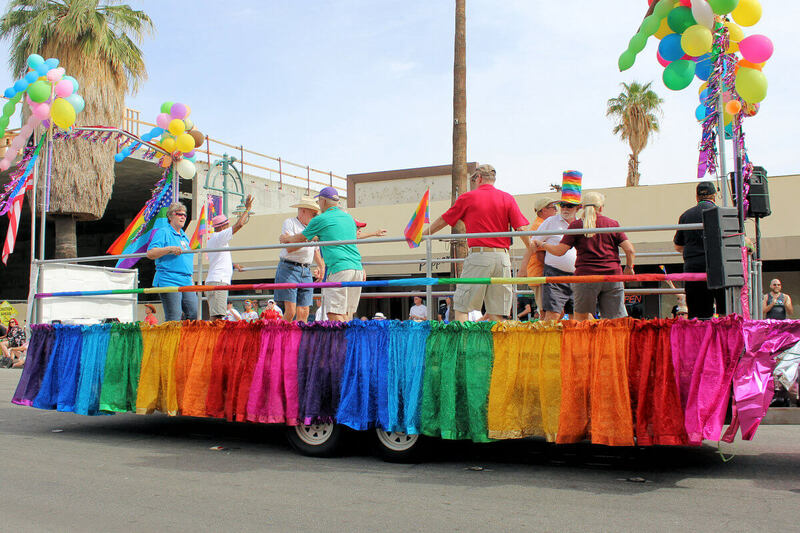 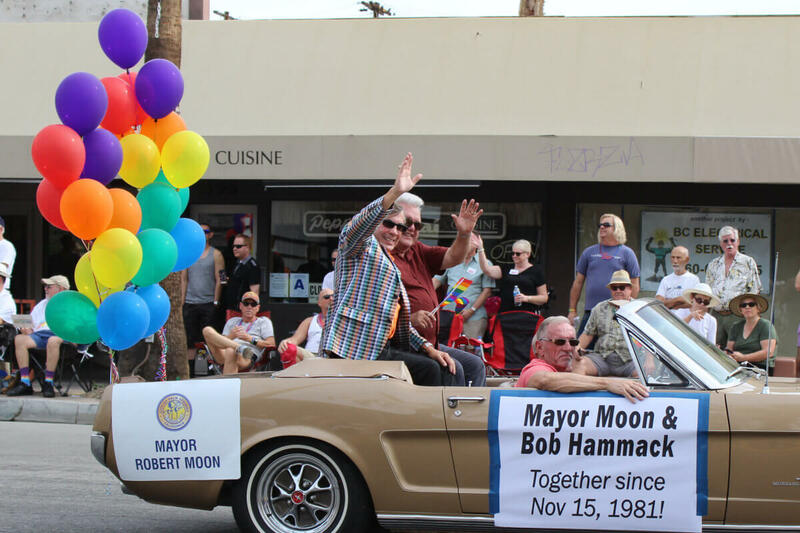 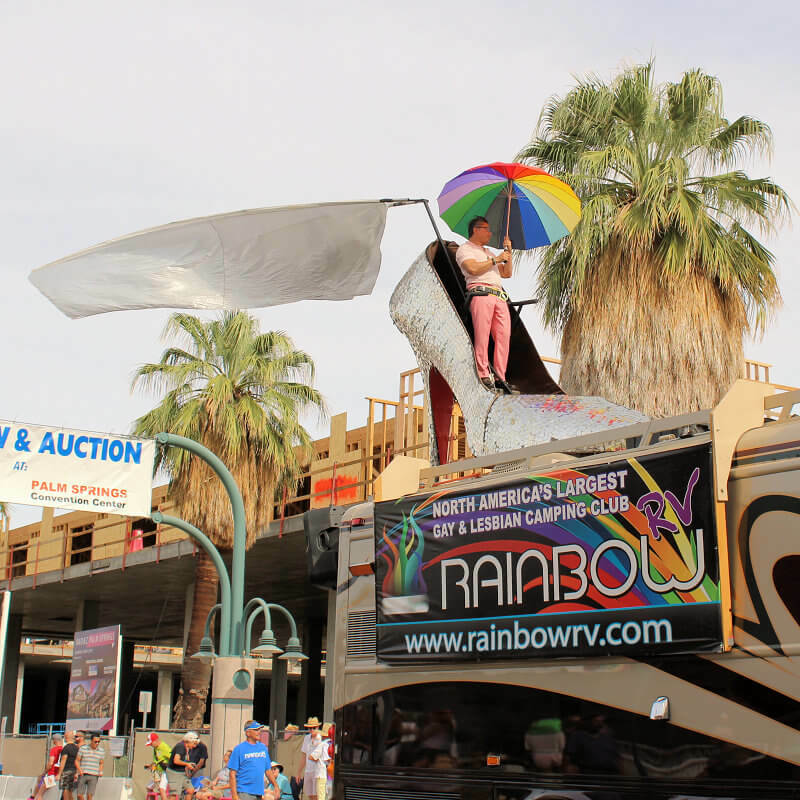 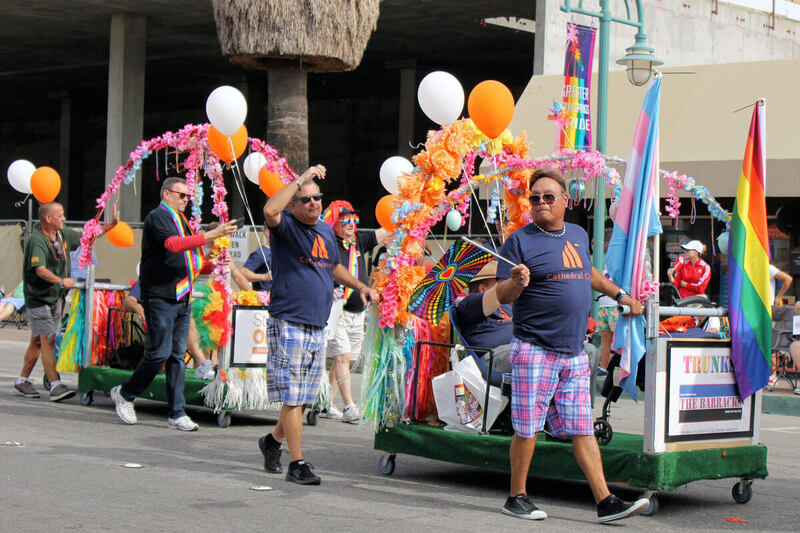 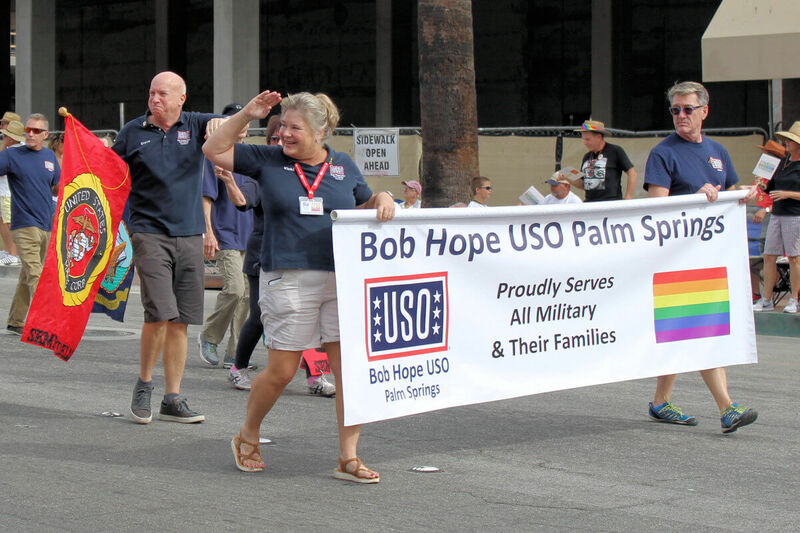 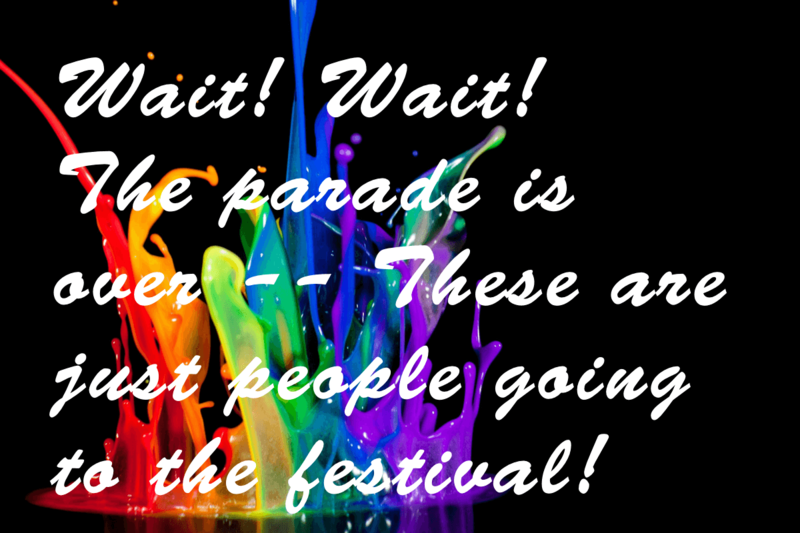 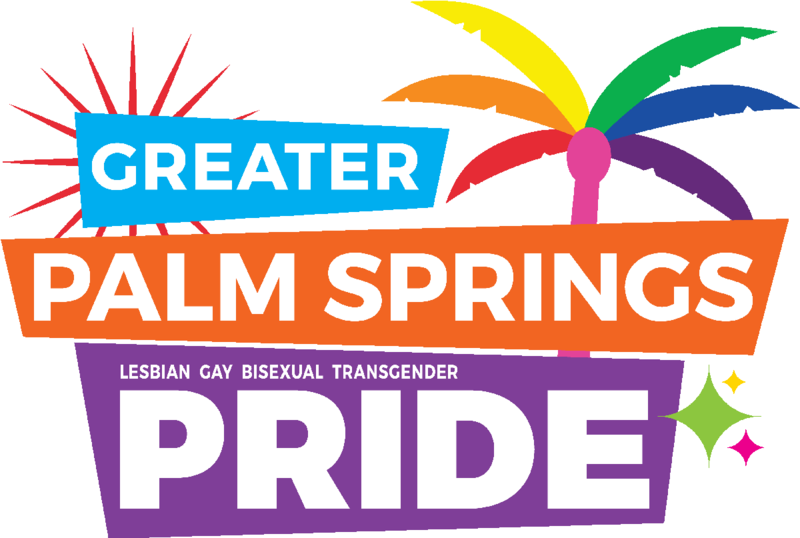 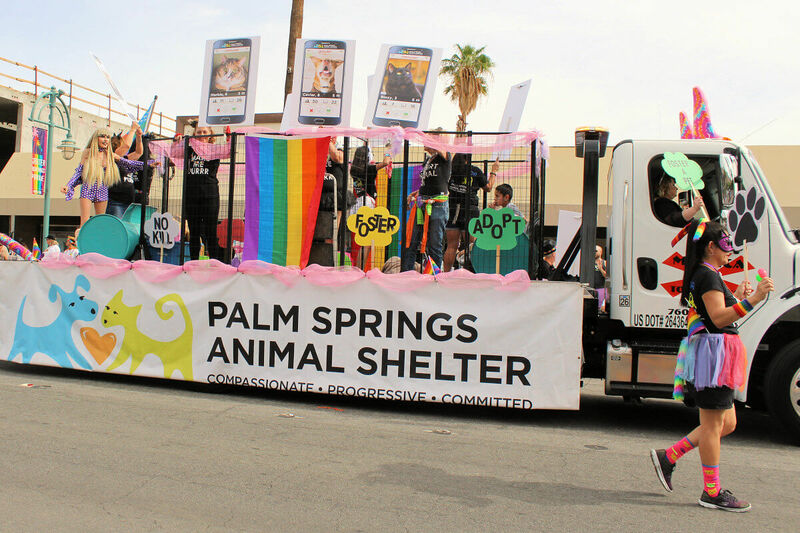 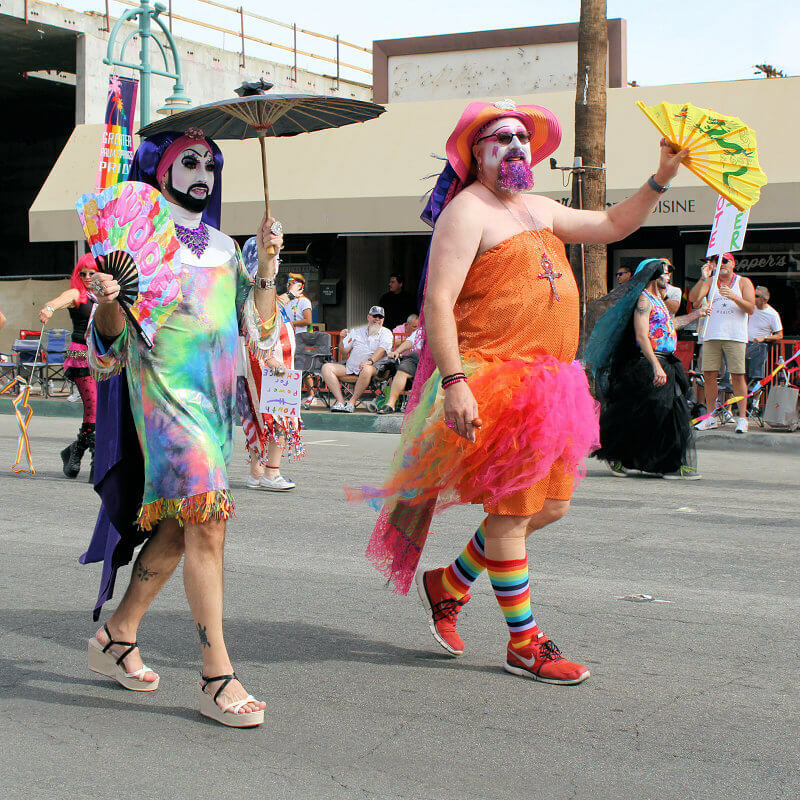 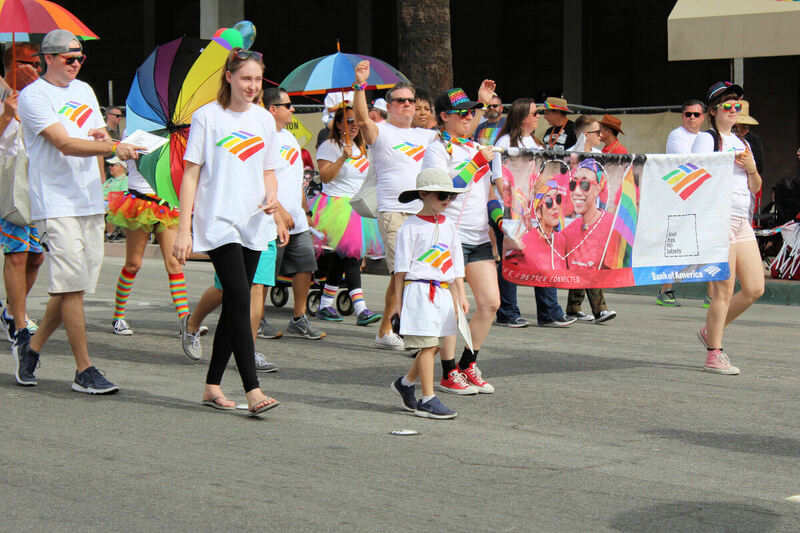 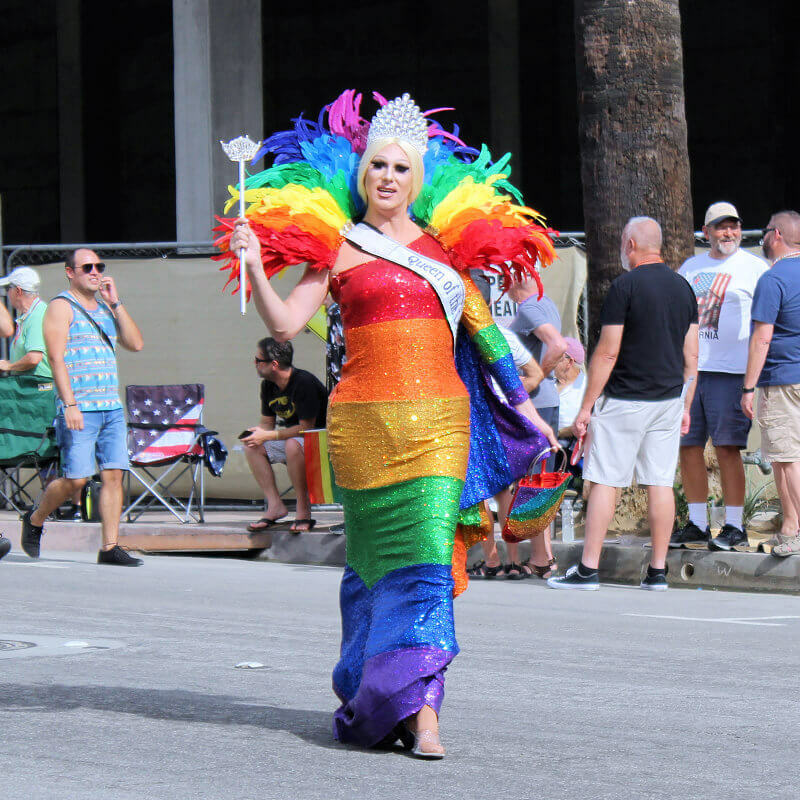 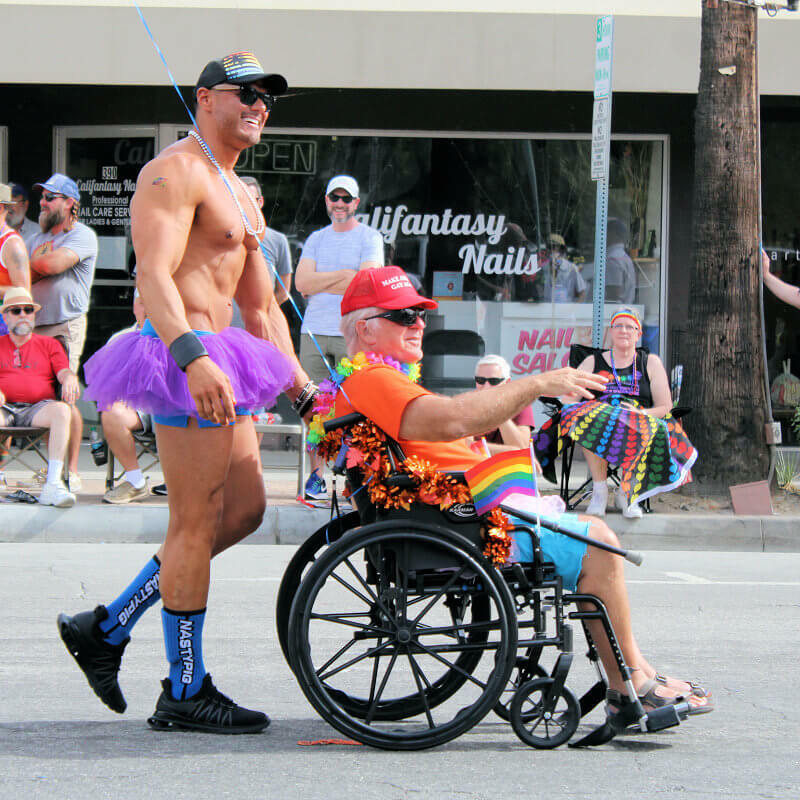 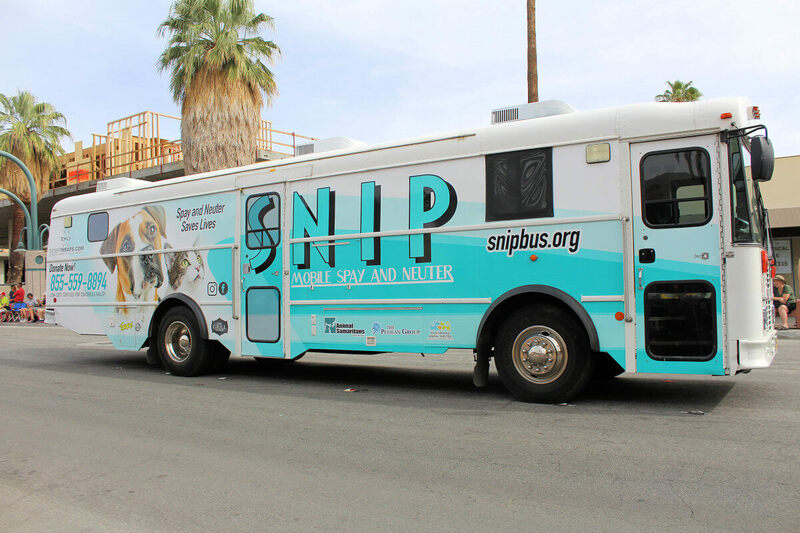 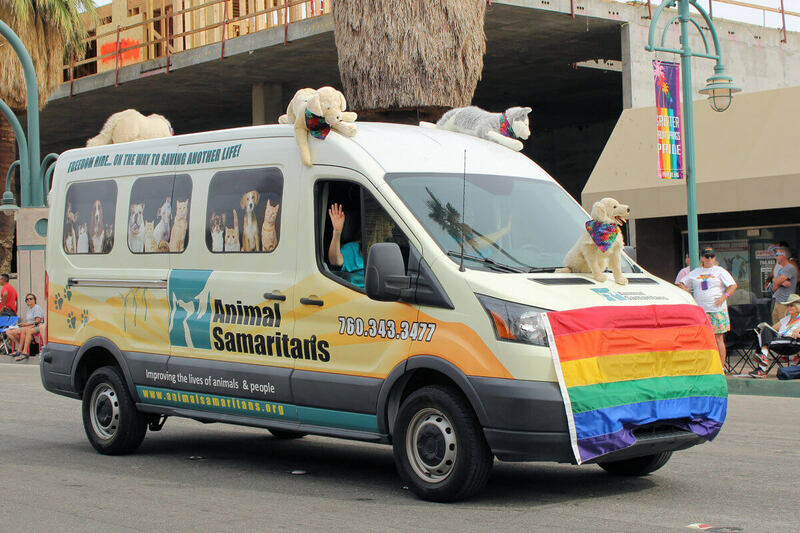 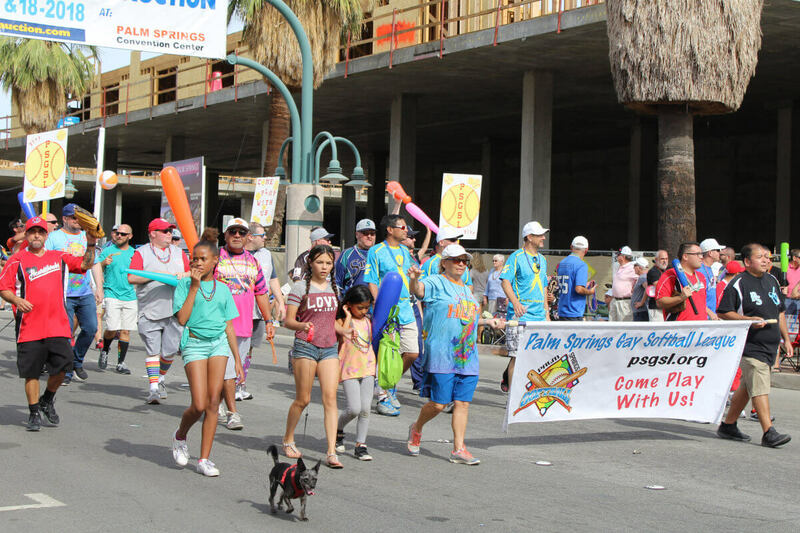 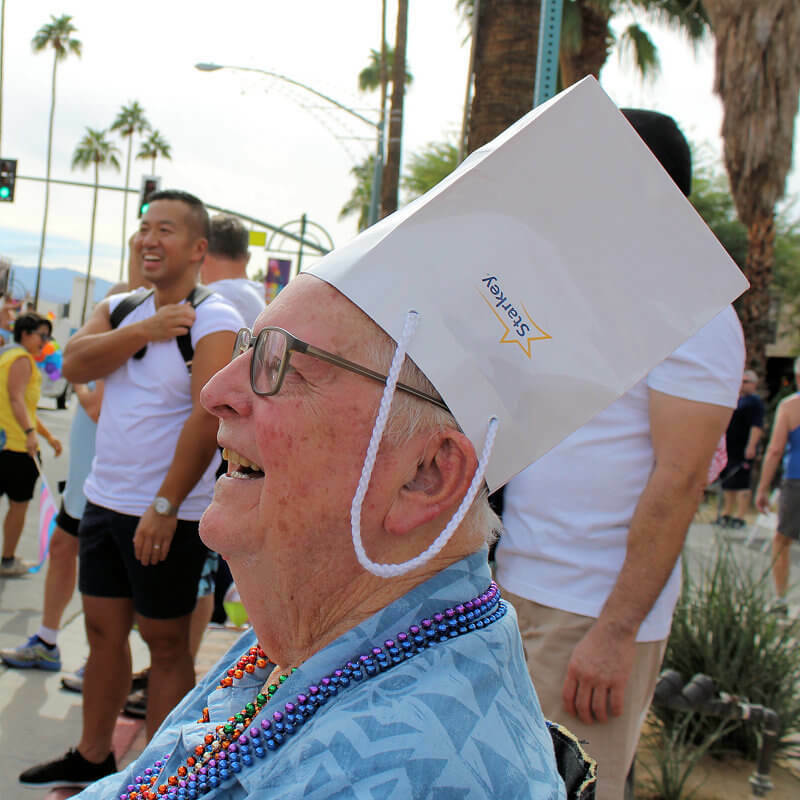 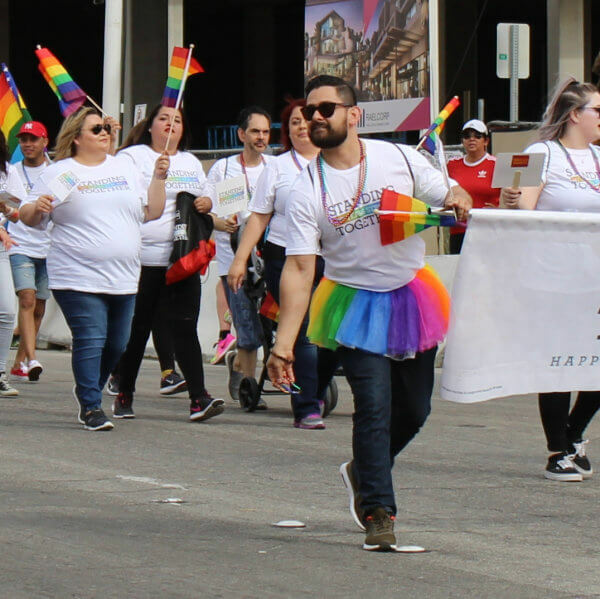 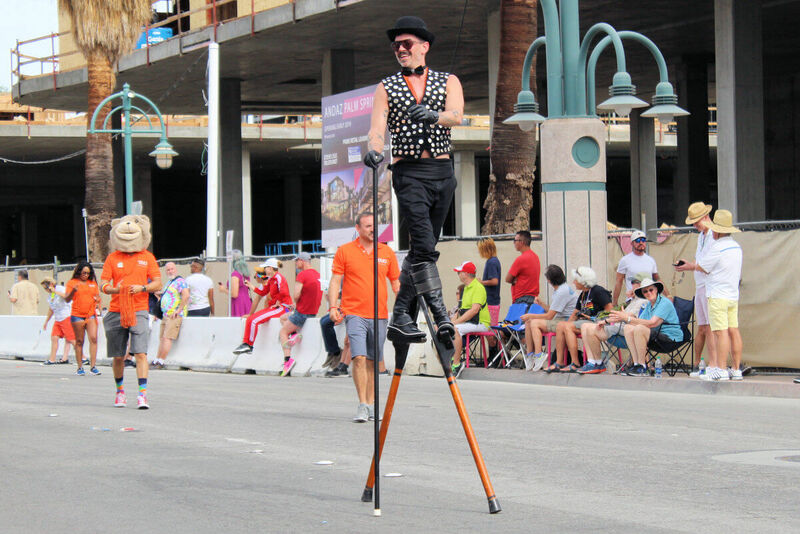 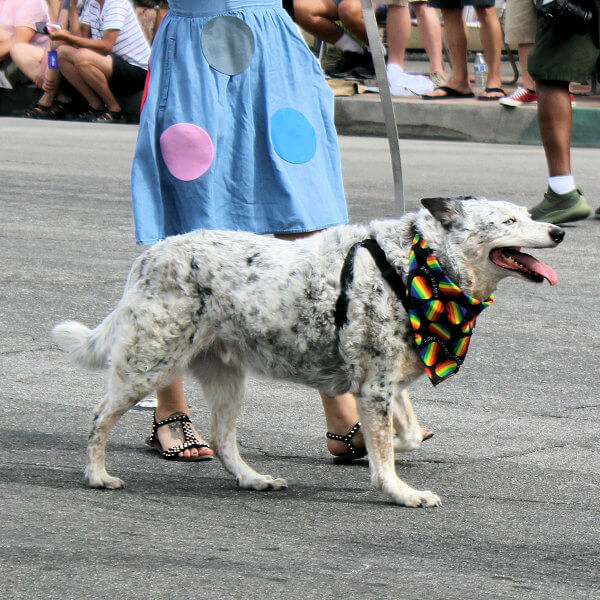 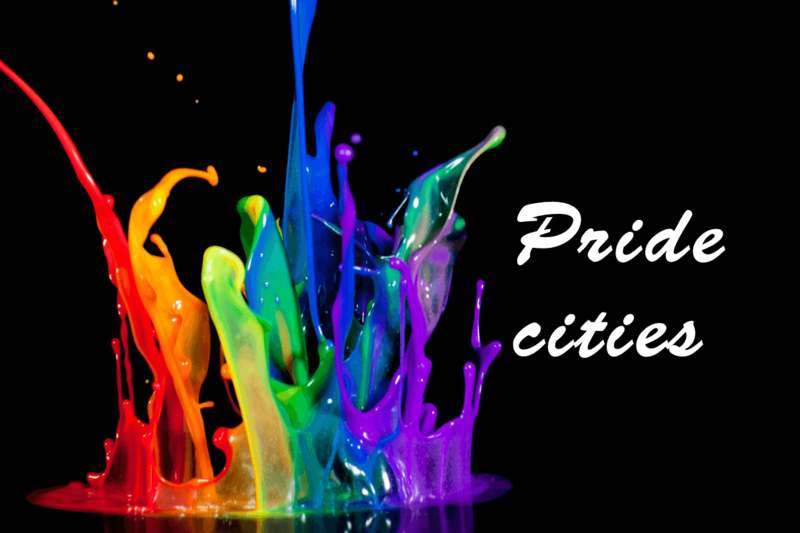 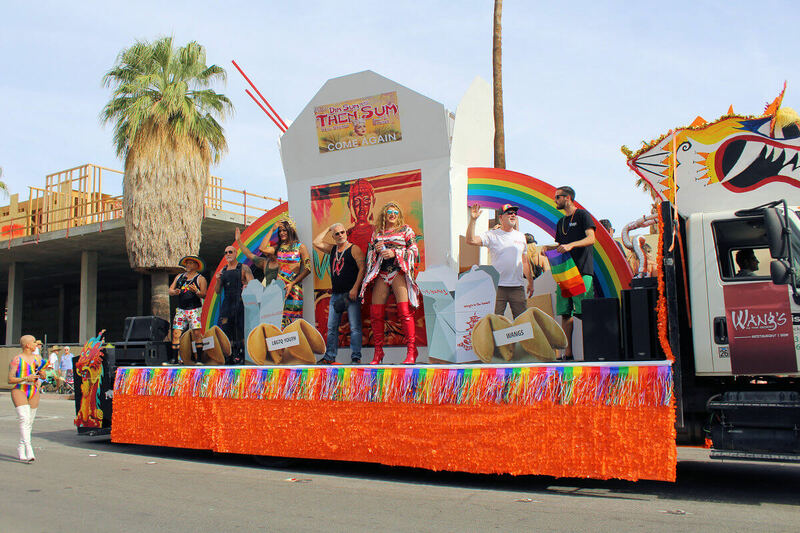 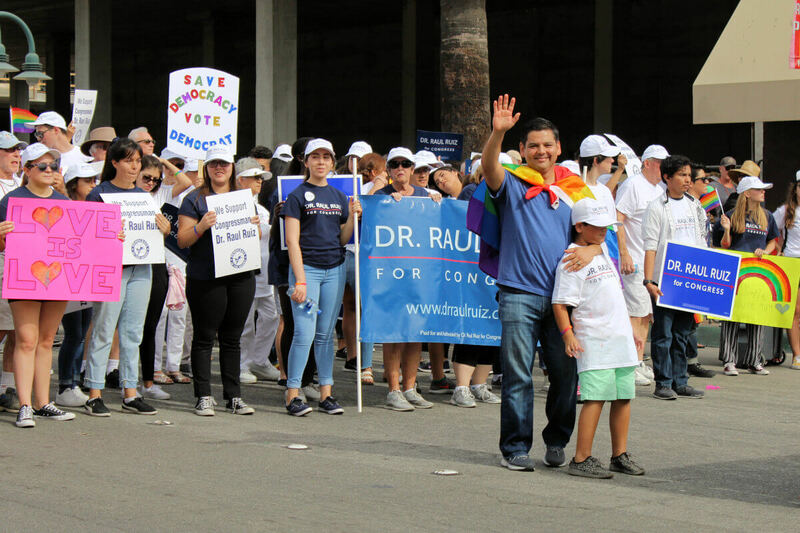 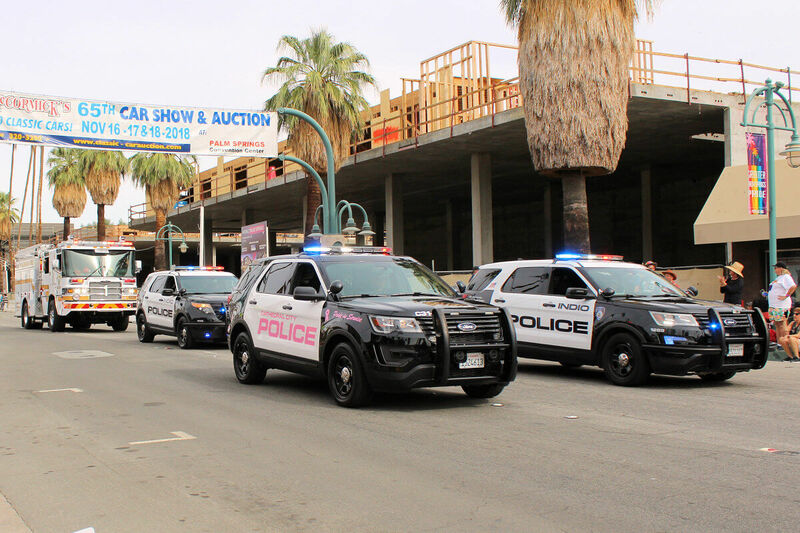 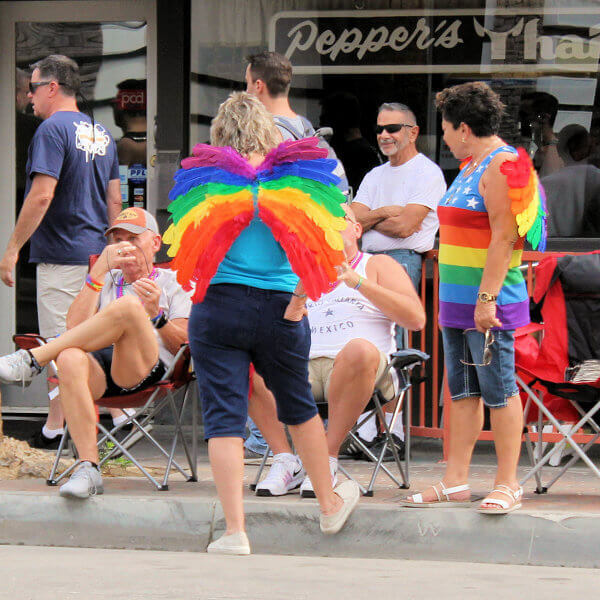 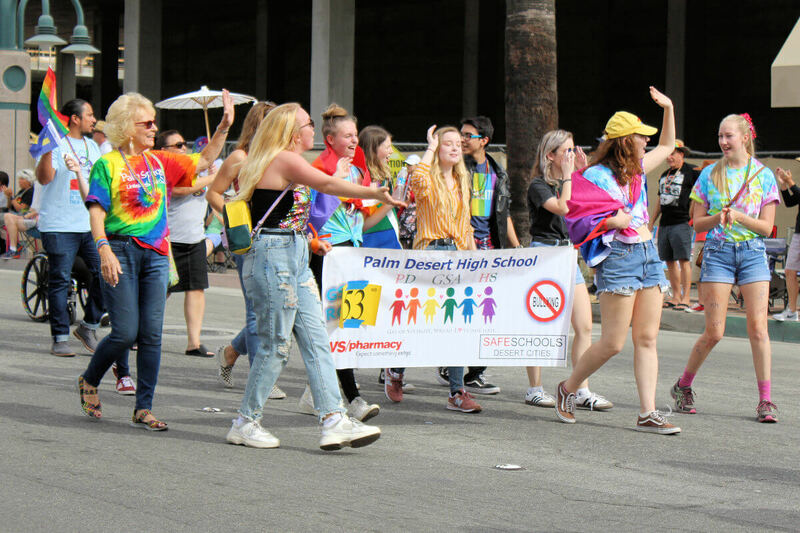 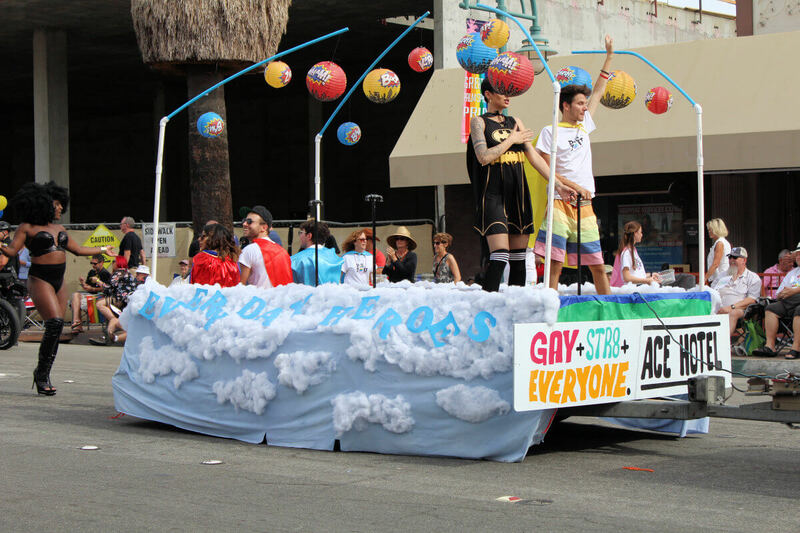 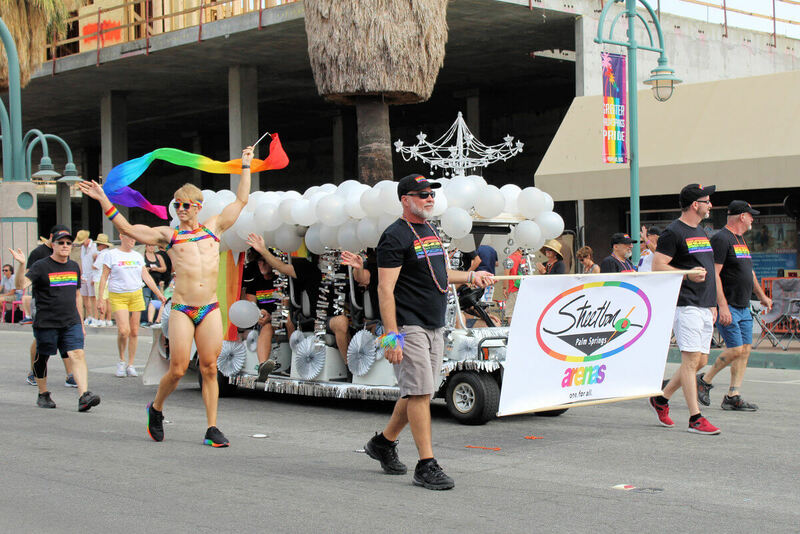 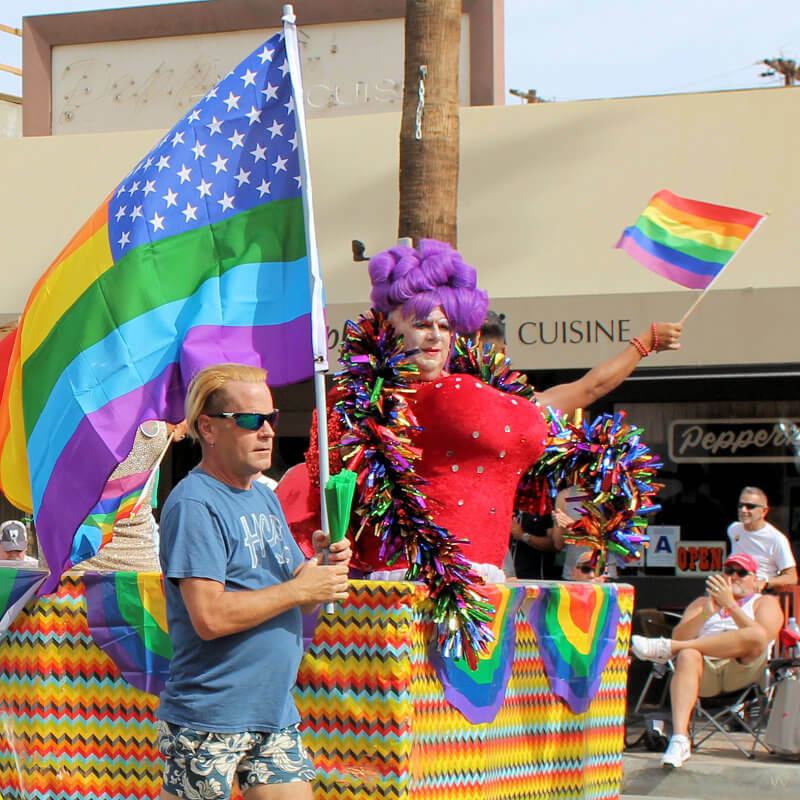 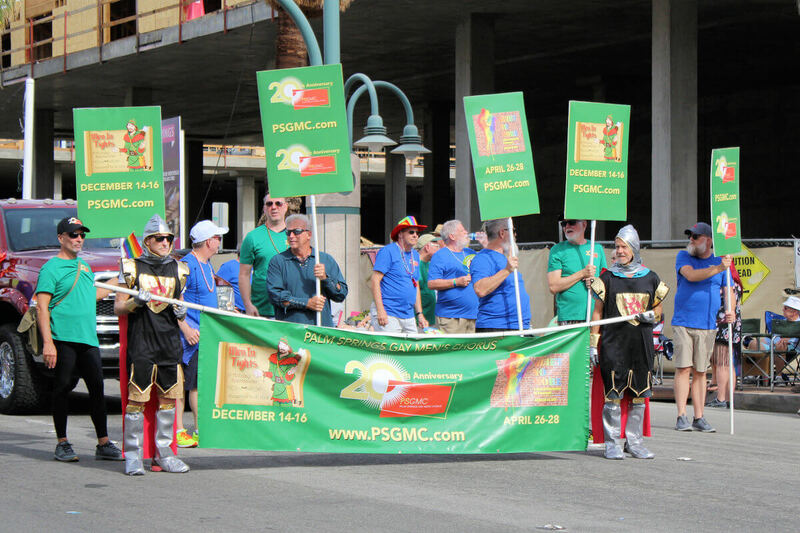 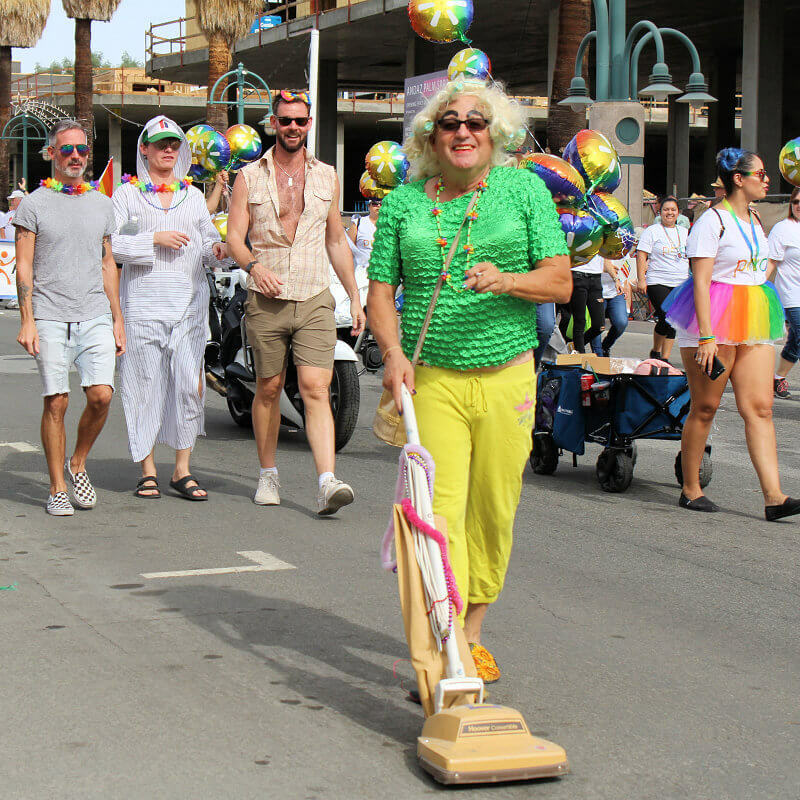 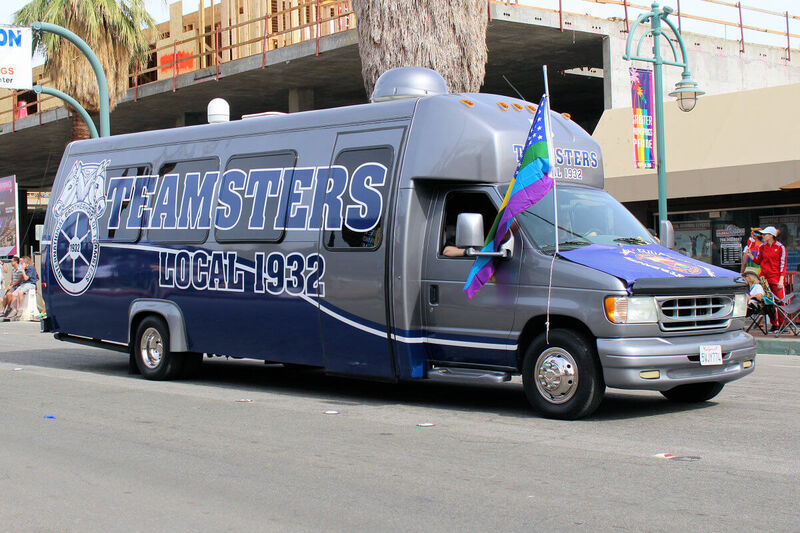 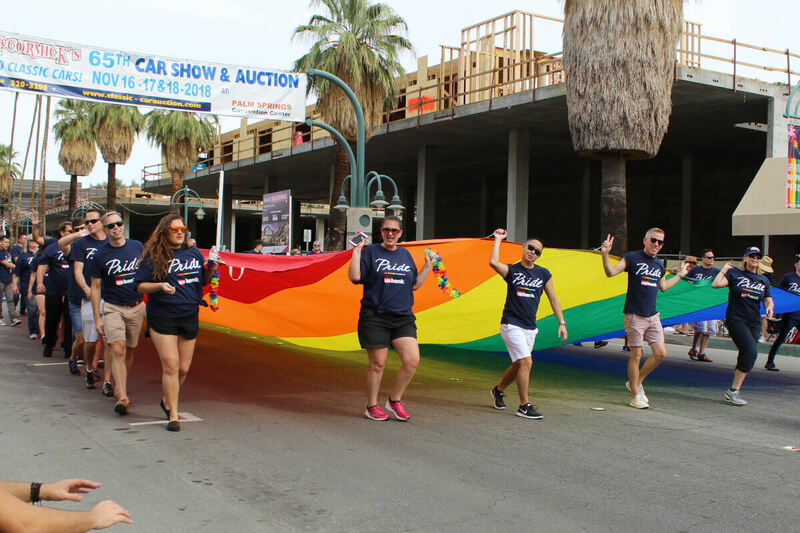 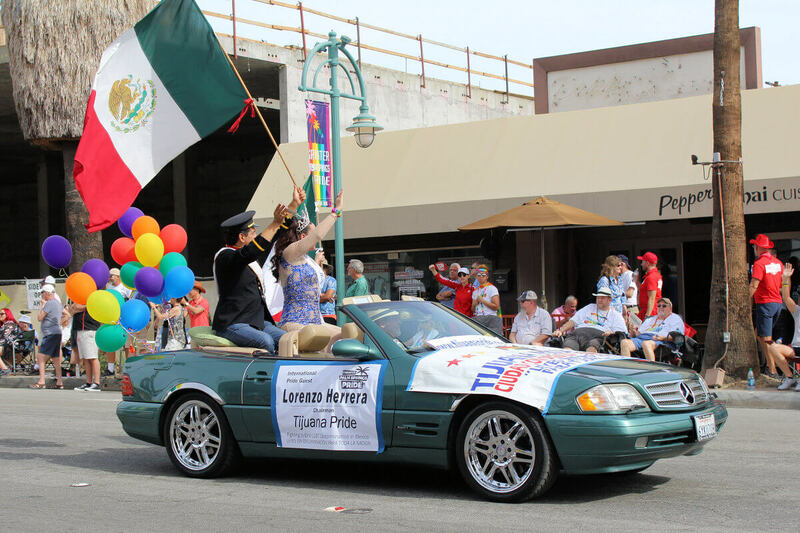 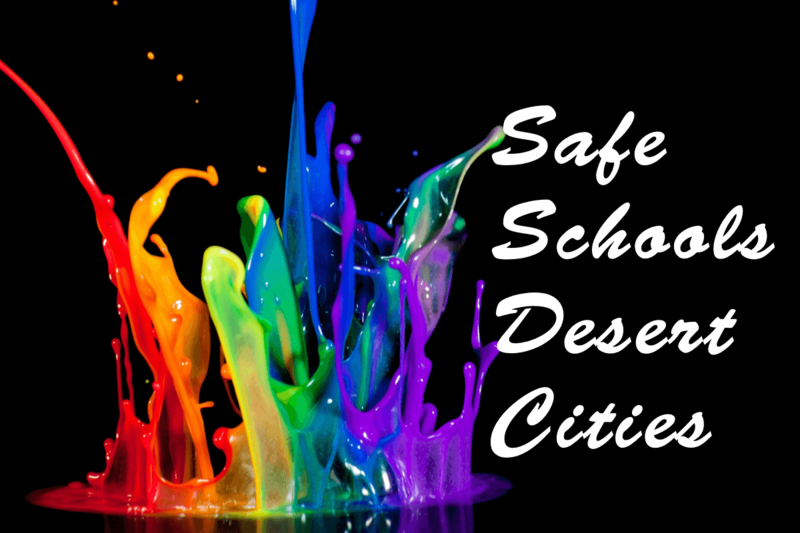 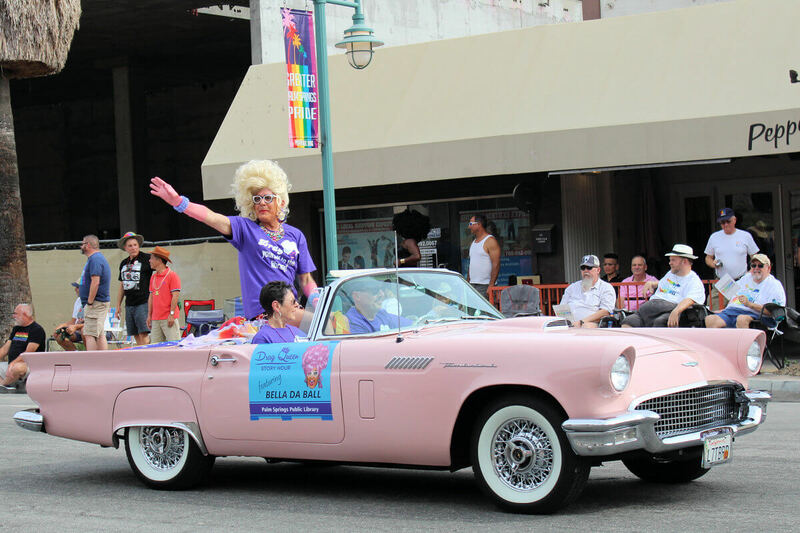 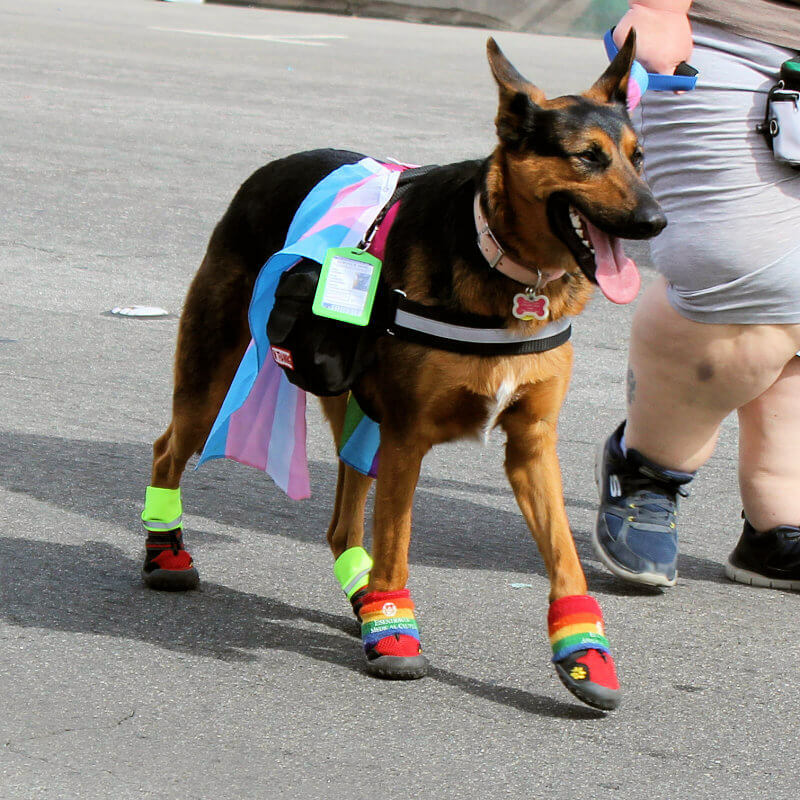 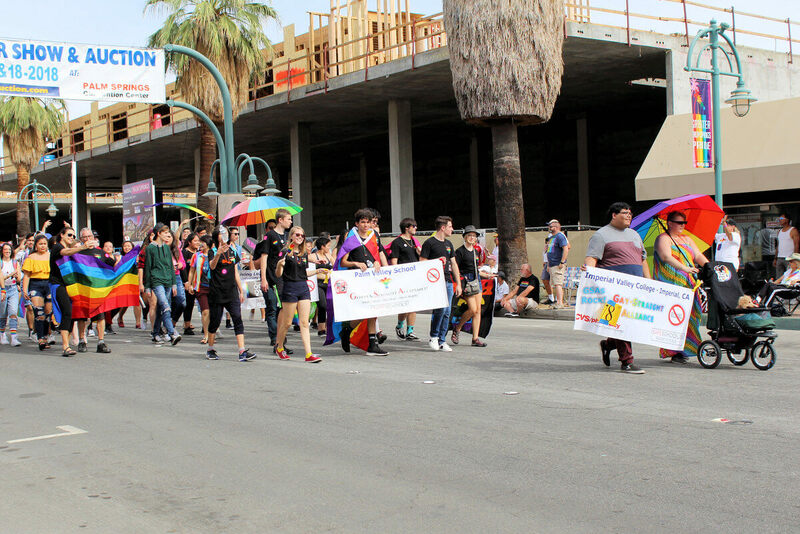 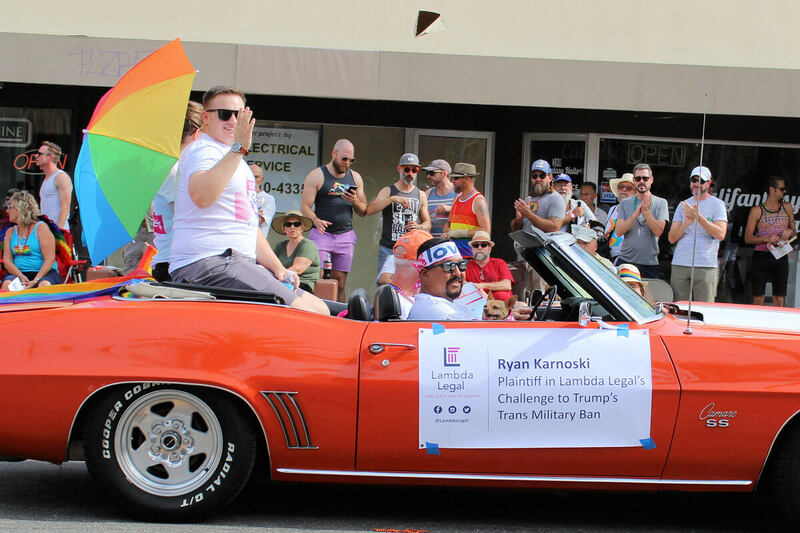 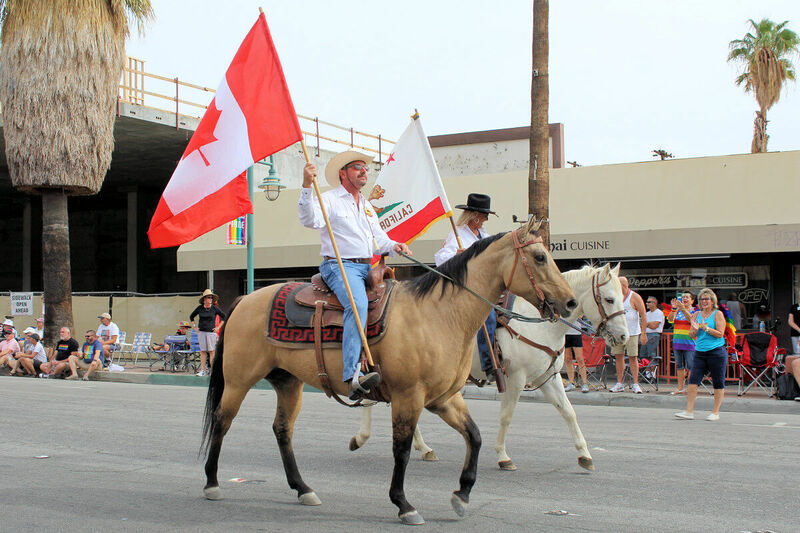 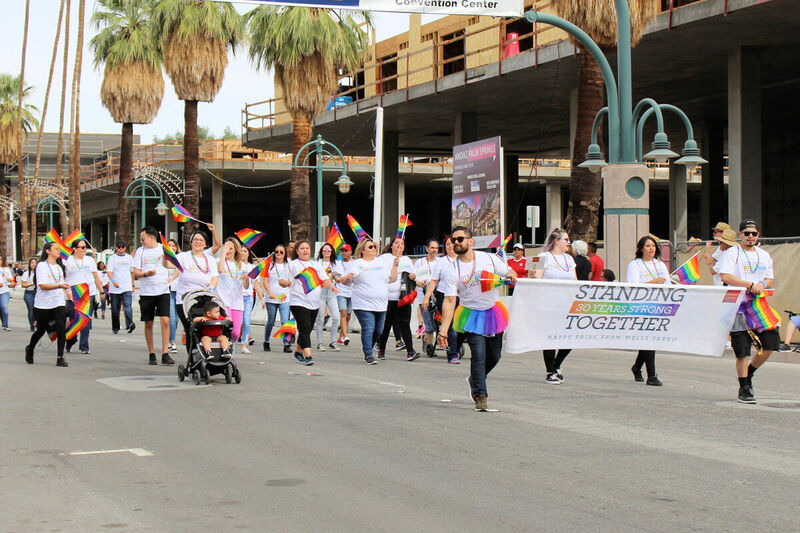 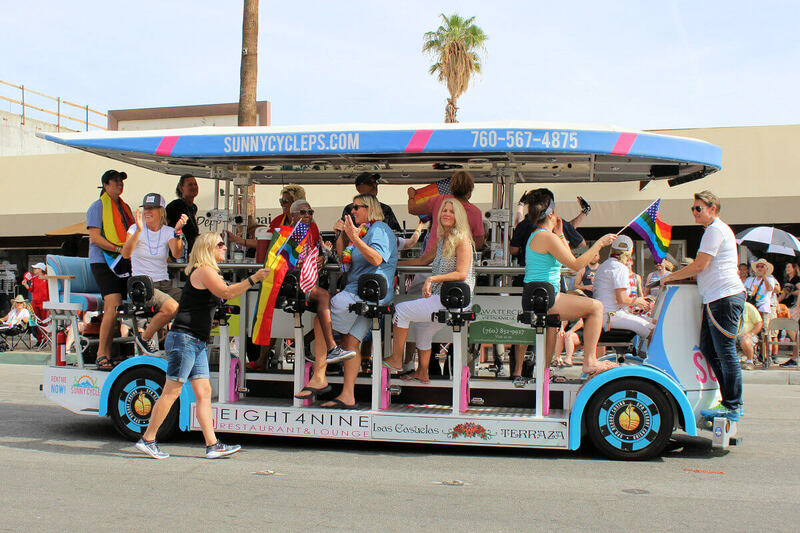 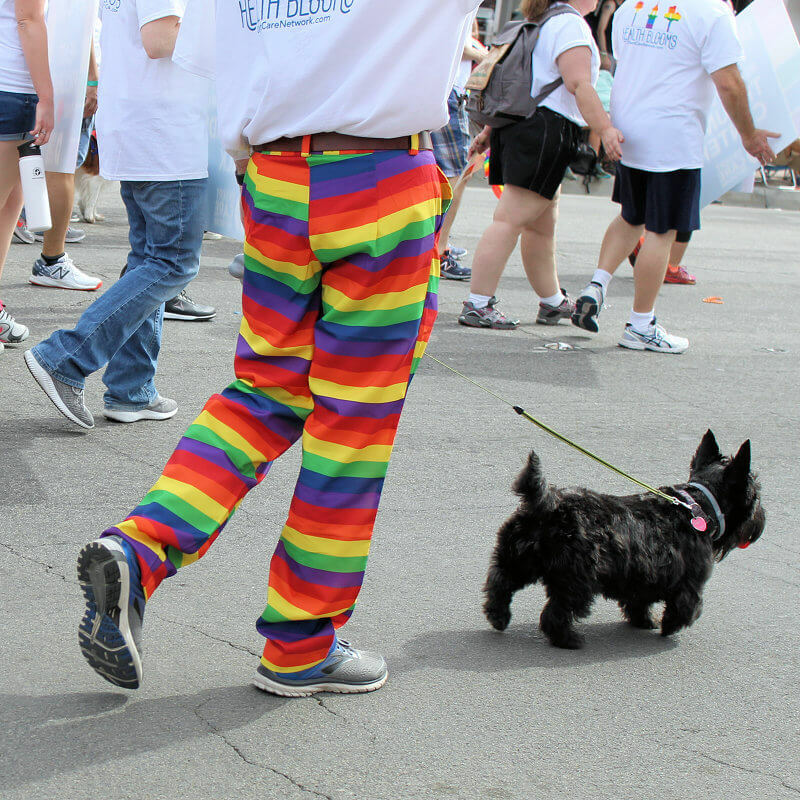 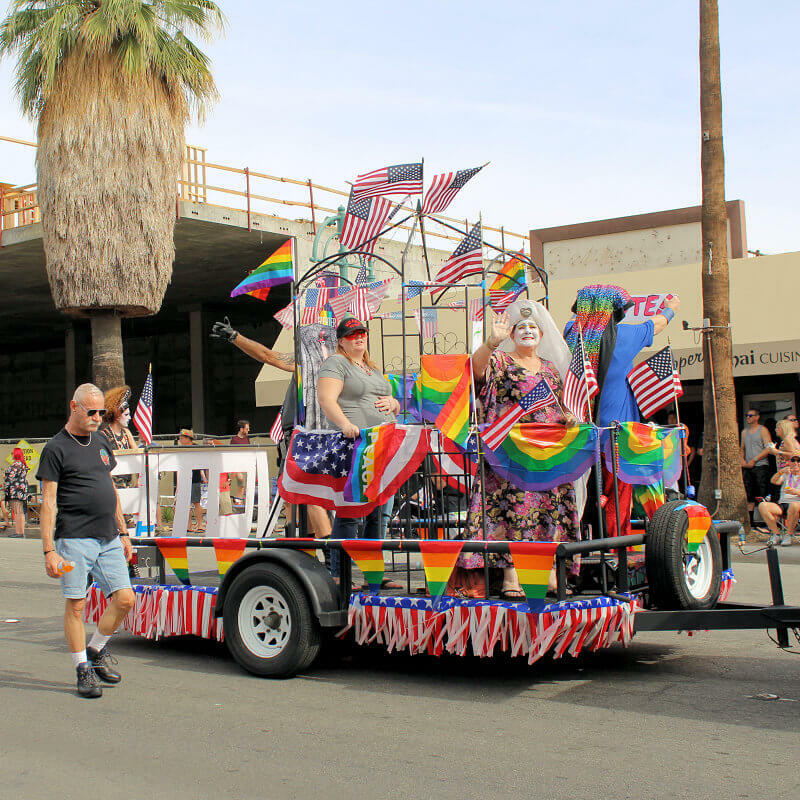 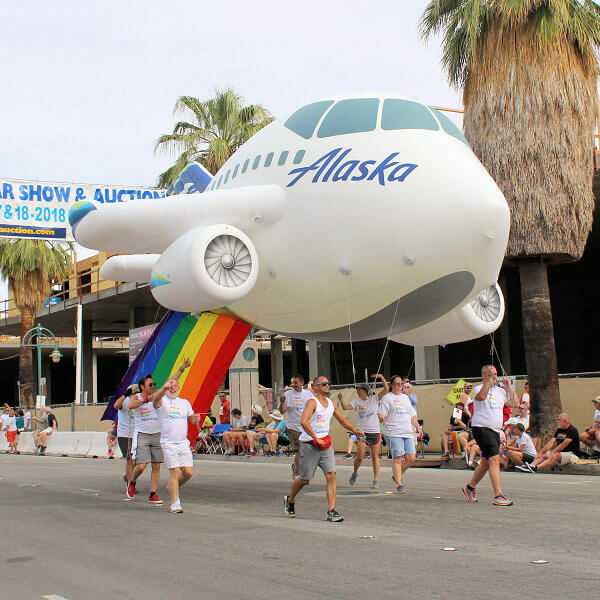 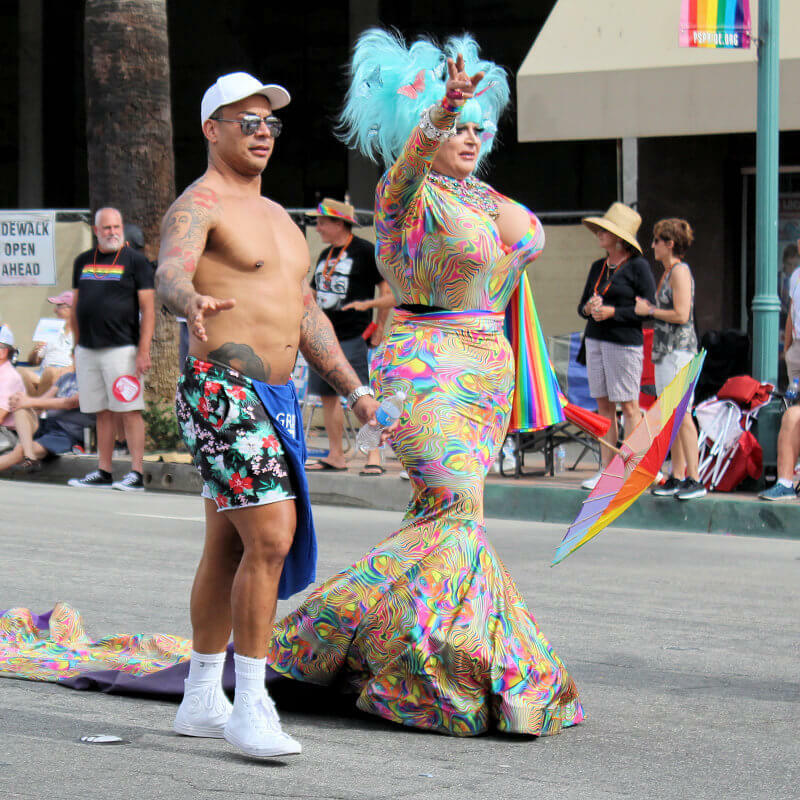 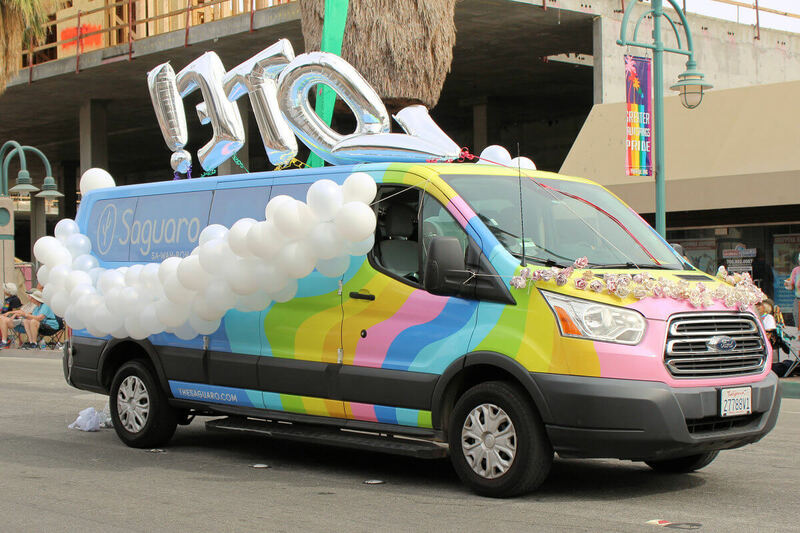 This past weekend was the annual Greater Palm Springs LGBT Pride Festival and Parade. 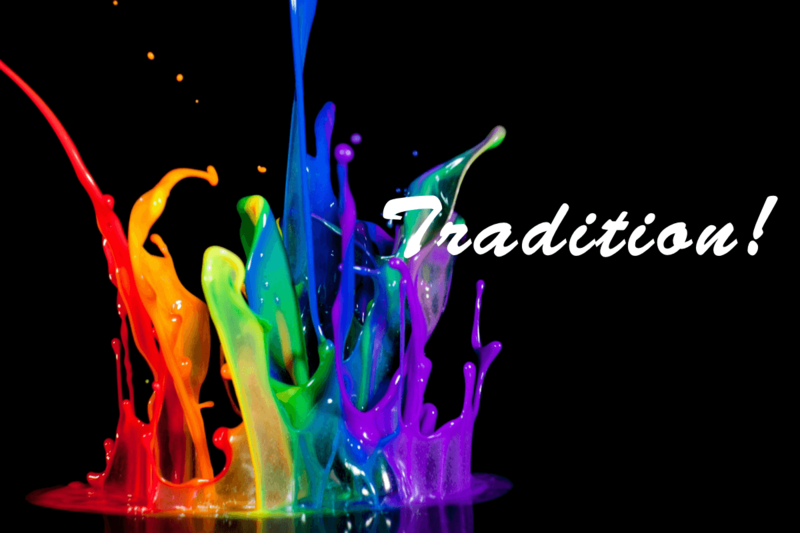 Tradition. 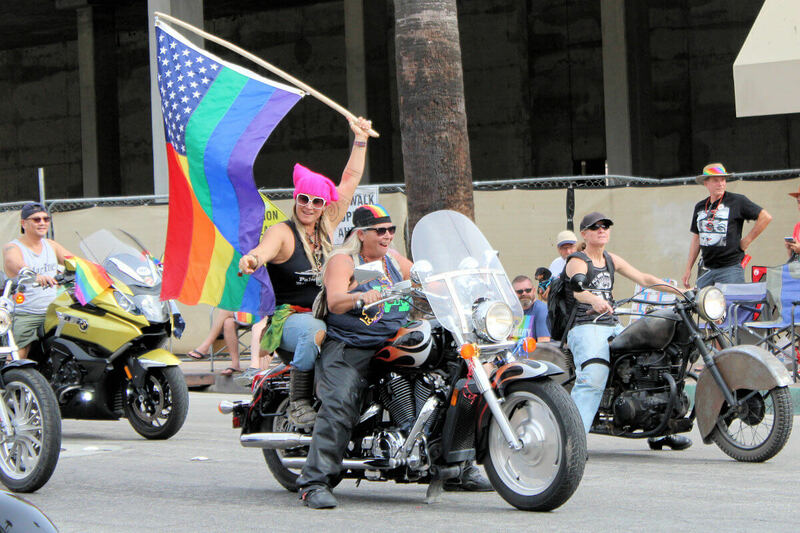 As is traditional a contingent of Dykes on Bikes, joined by a few Boyz on Bikes, got the parade started by clearing the streets and awakening everyone's eardrums with the vroom, vroom of their engines. 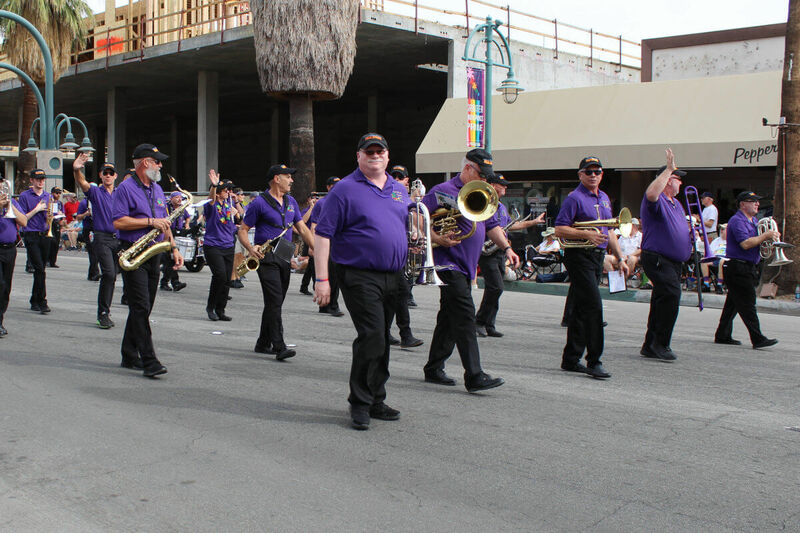 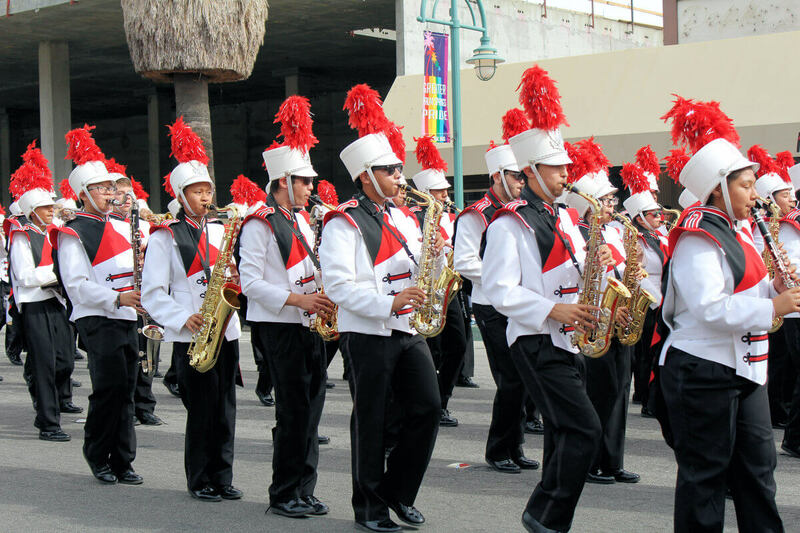 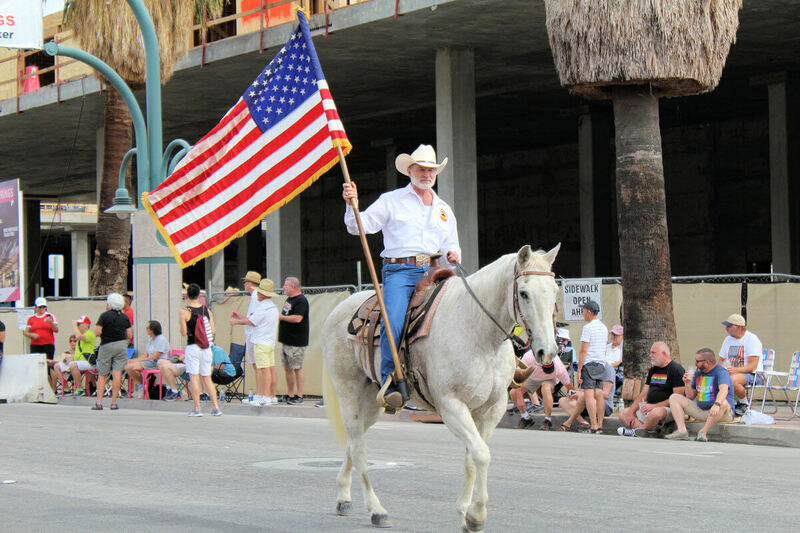 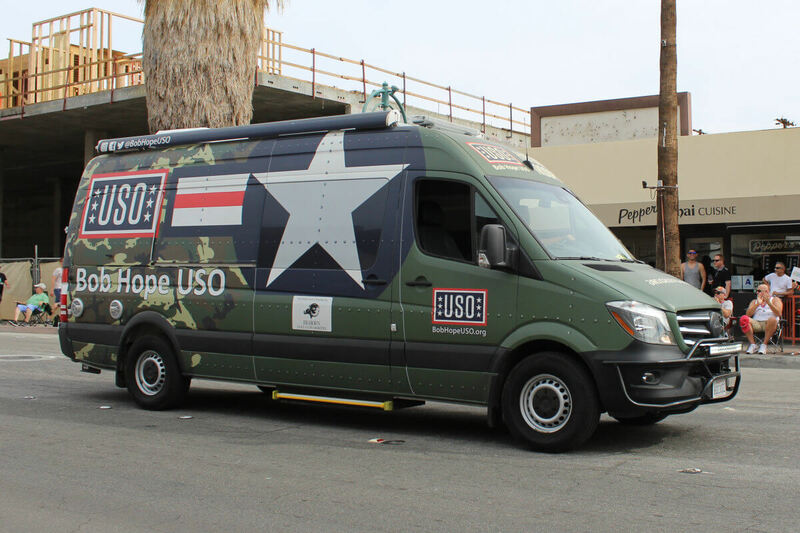 They were not-so-closely followed by the Hot Rodeo cowboys and the Desert Winds Freedom Band. 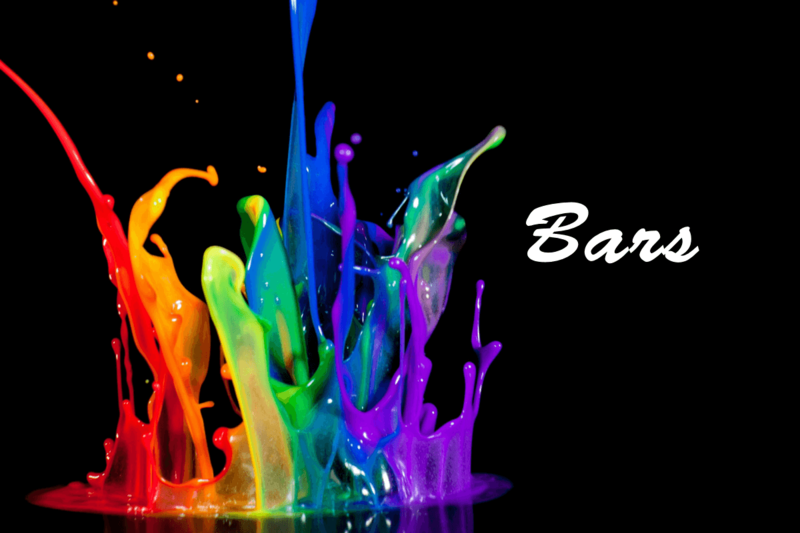 Bare skin. 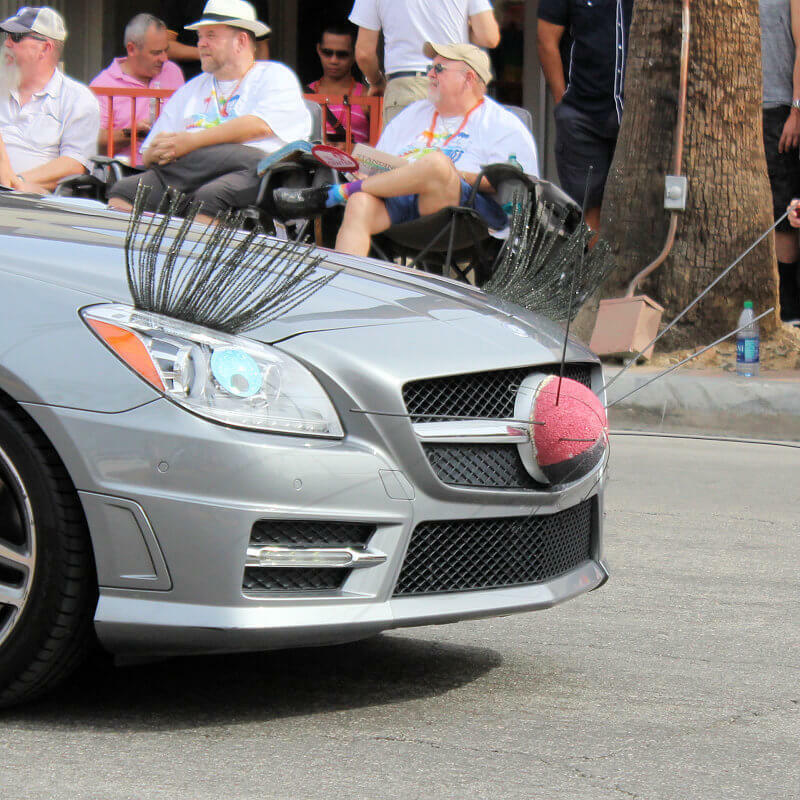 If you got it, flaunt it! 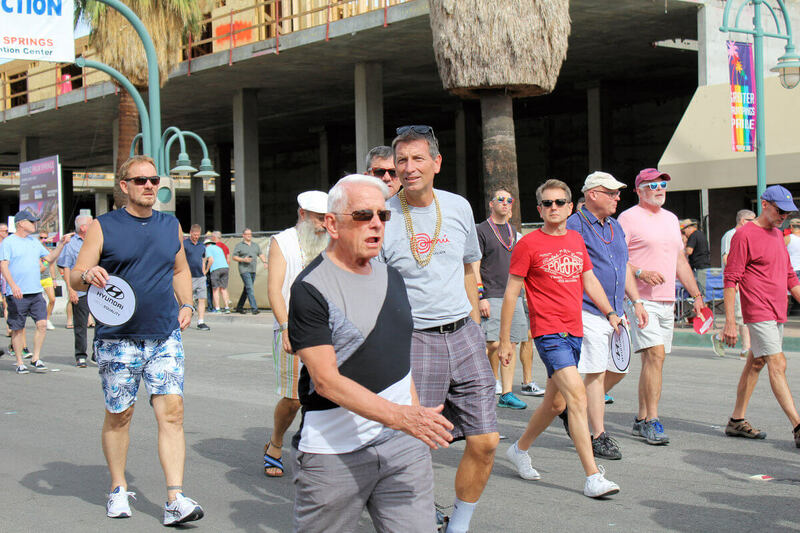 And there were plenty of young lads flaunting their gym-honed bods. 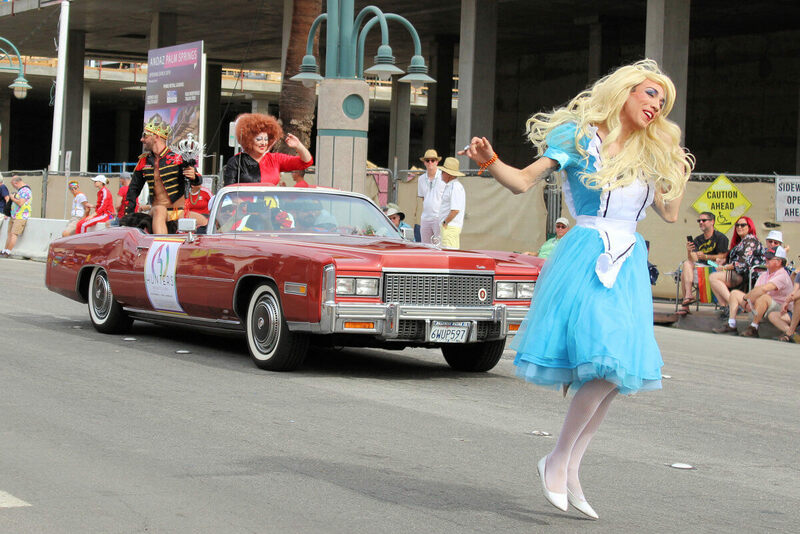 Drag queens. 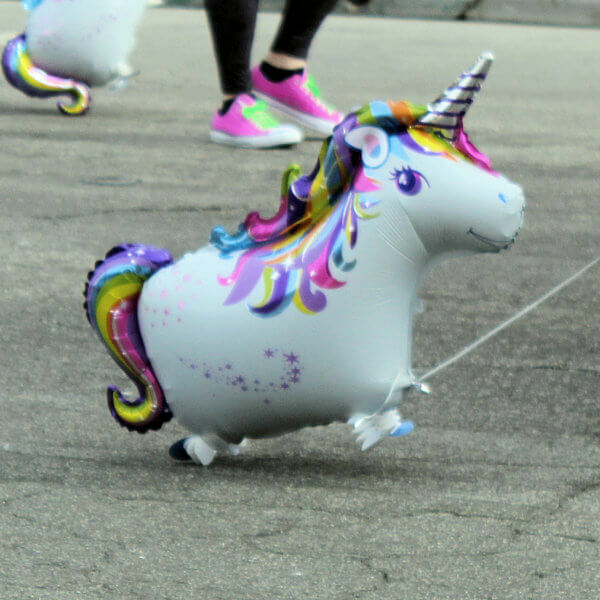 They are everywhere! 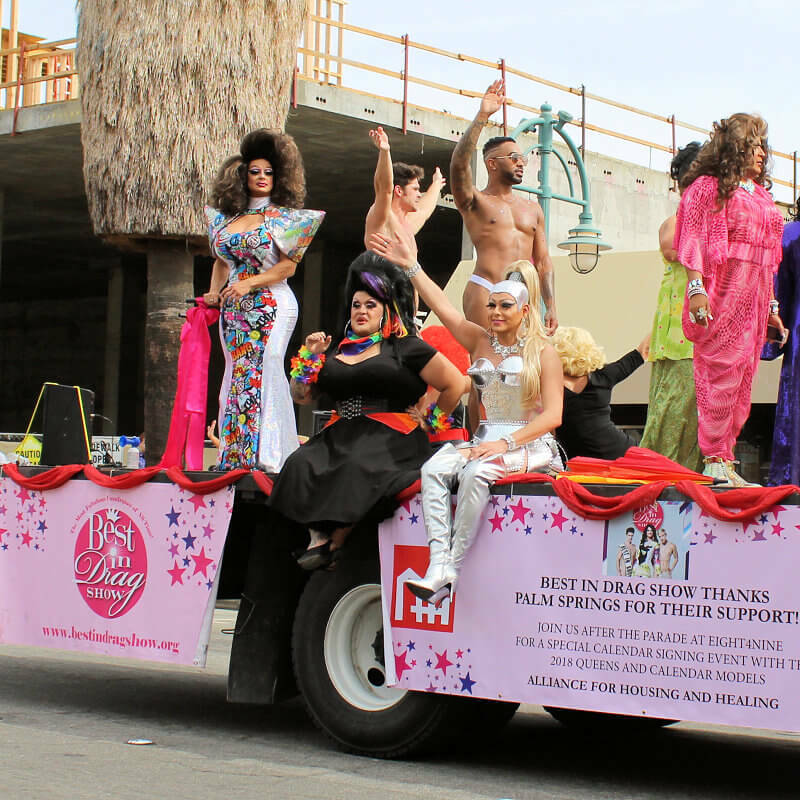 Even at the top of tramway for Drag Brunch on Sunday! 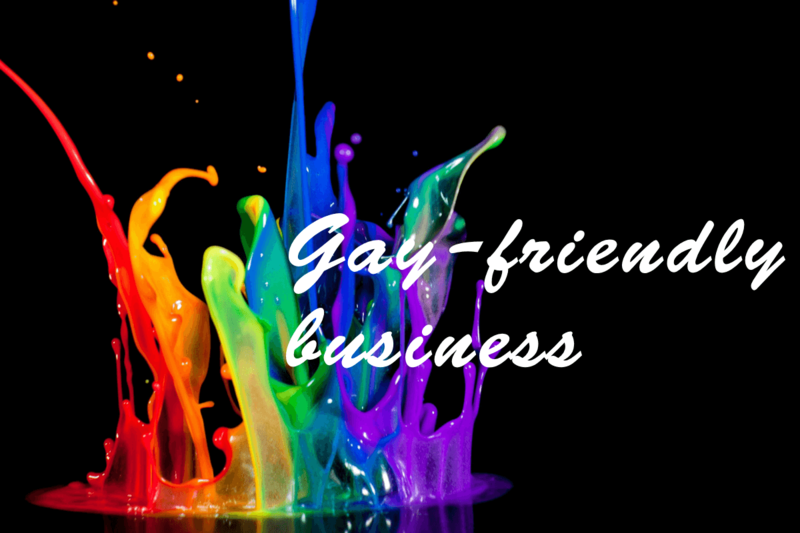 Gay-friendly biz. 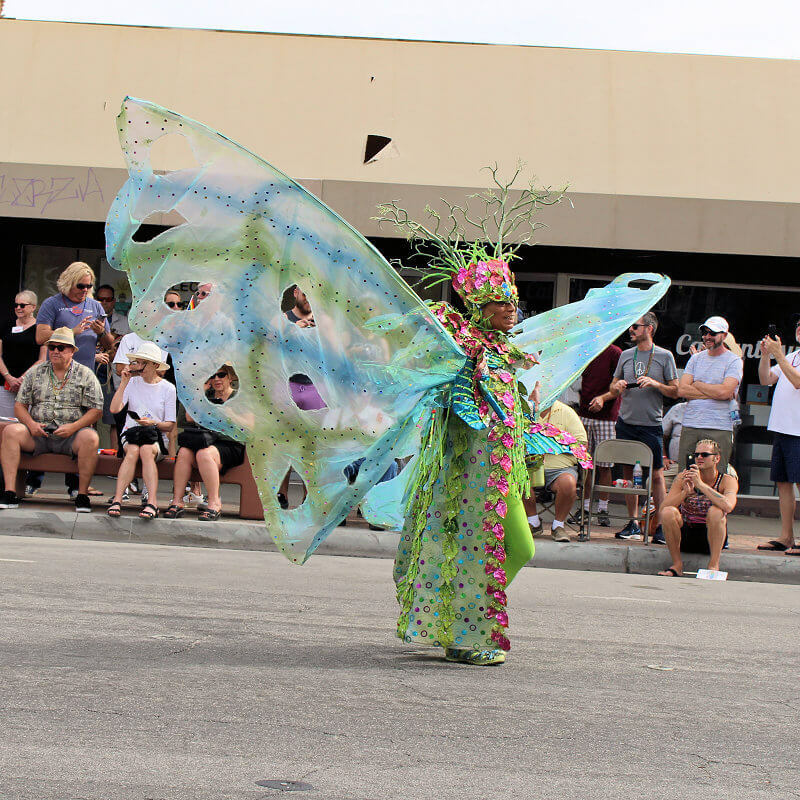 Businesses know who has the money, and they were eager to showcase themselves, from banks to bordellos (well, no bordellos, but it sounded good). 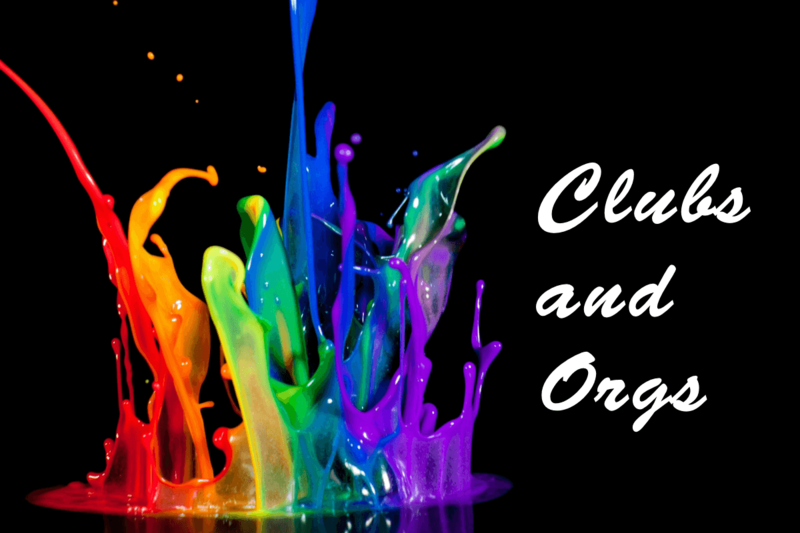 Clubs and organizations. 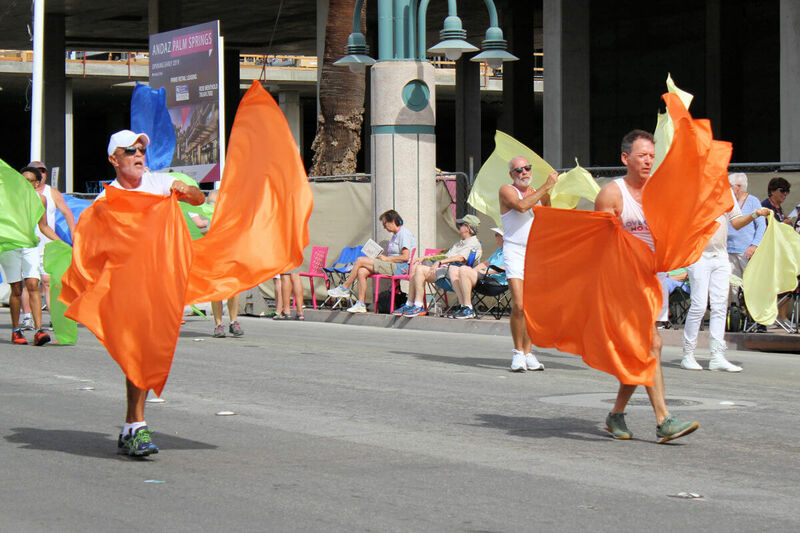 They were all their marching: leather men, Sisters, flaggers, floggers, and lots of others. 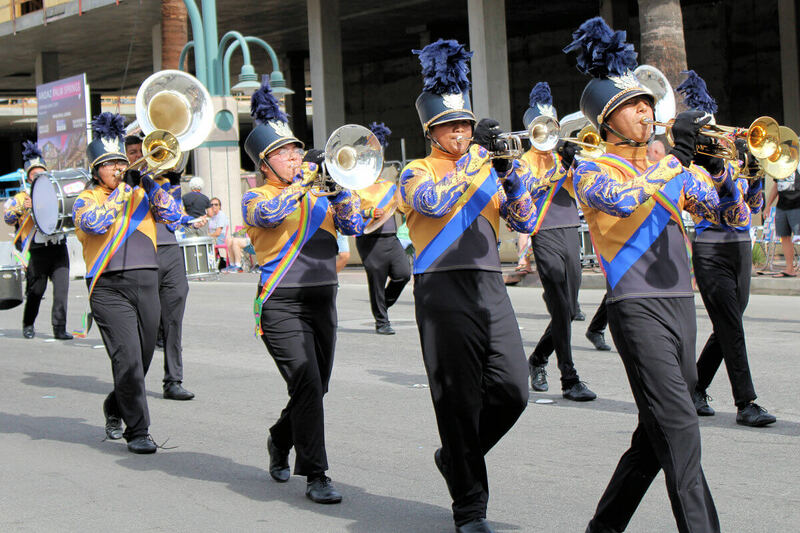 Parade joiners. 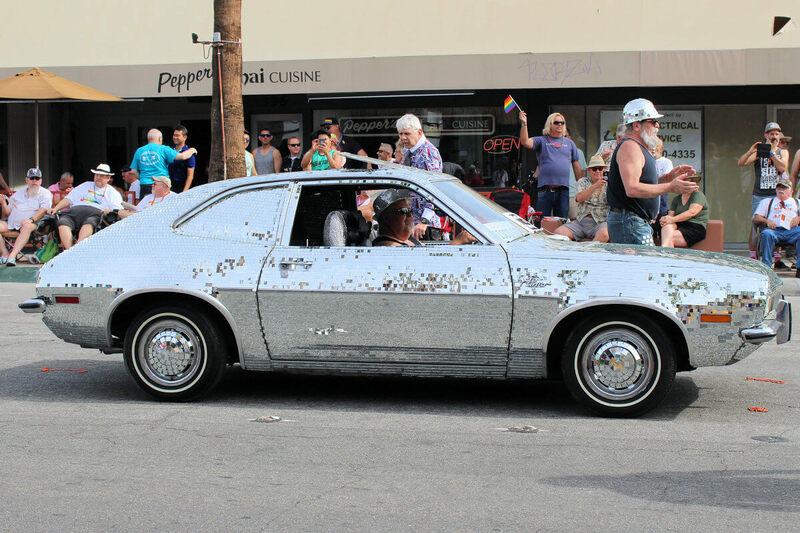 Everybody loves a parade, and some people and things appear in every parade, no matter what the occassion or theme: the Hoover lady, the disco car, the mayor, and others. 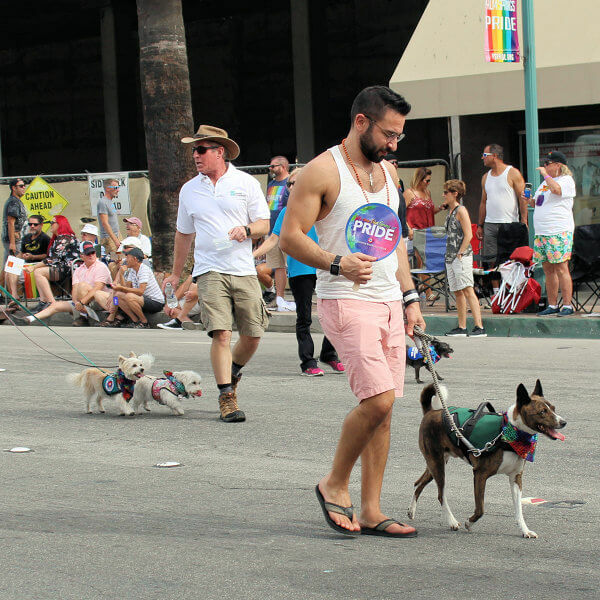 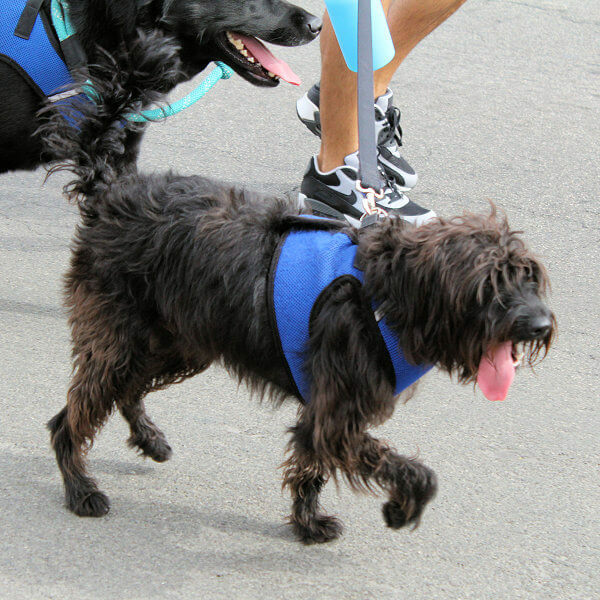 Dogs and more dogs. 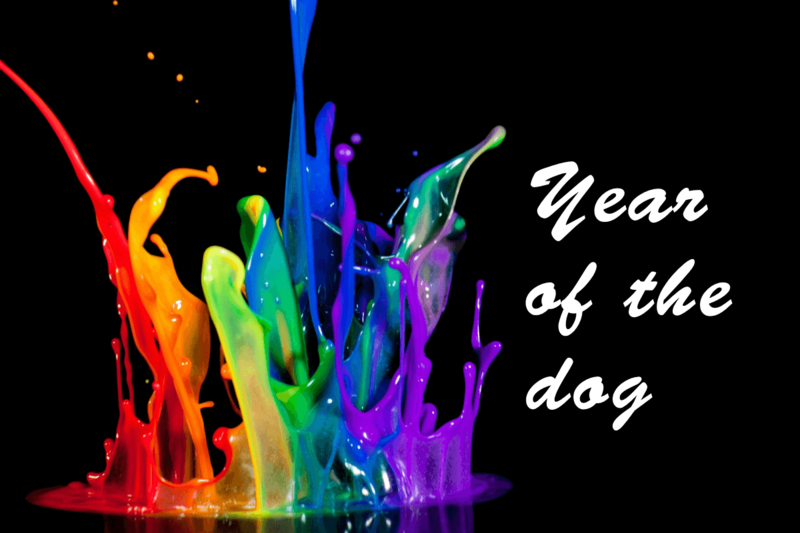 This was definitely the year of the dog. 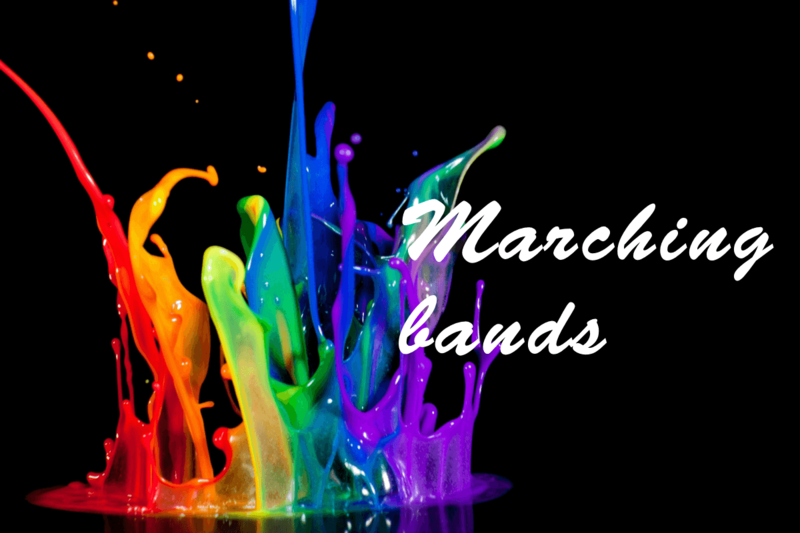 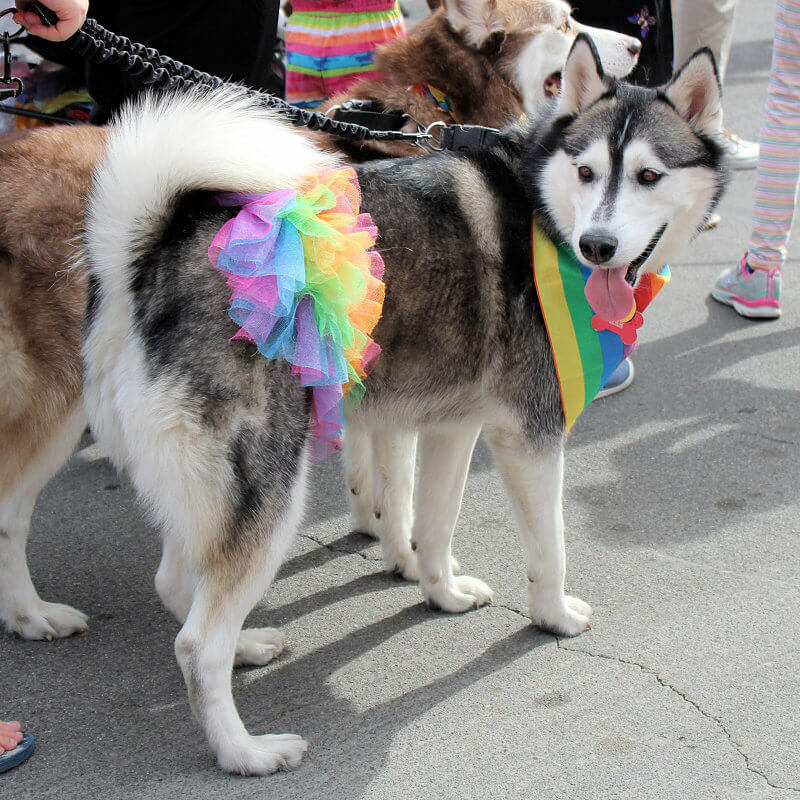 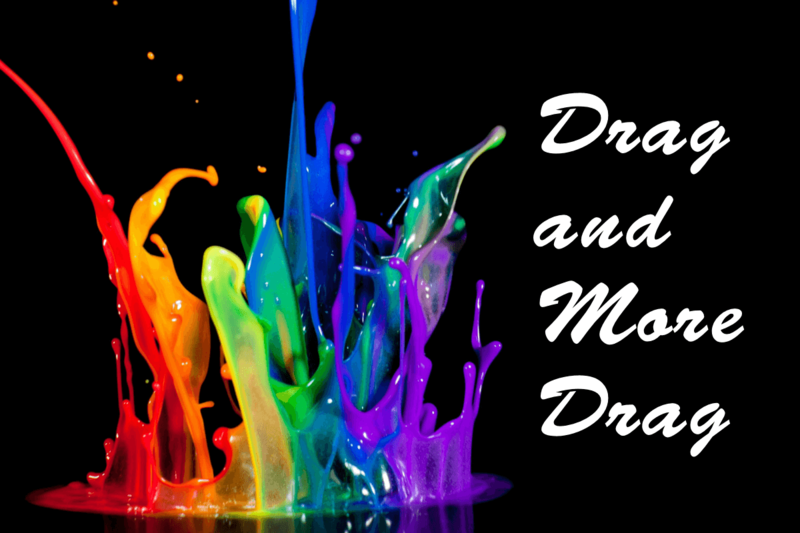 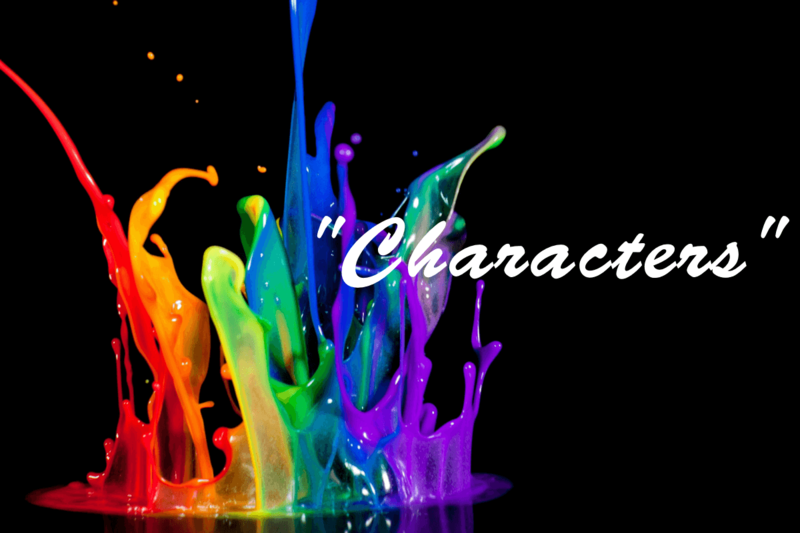 Of every ilk, from frou-frou toys to pit bulls, many decked out in their own rainbow colors. 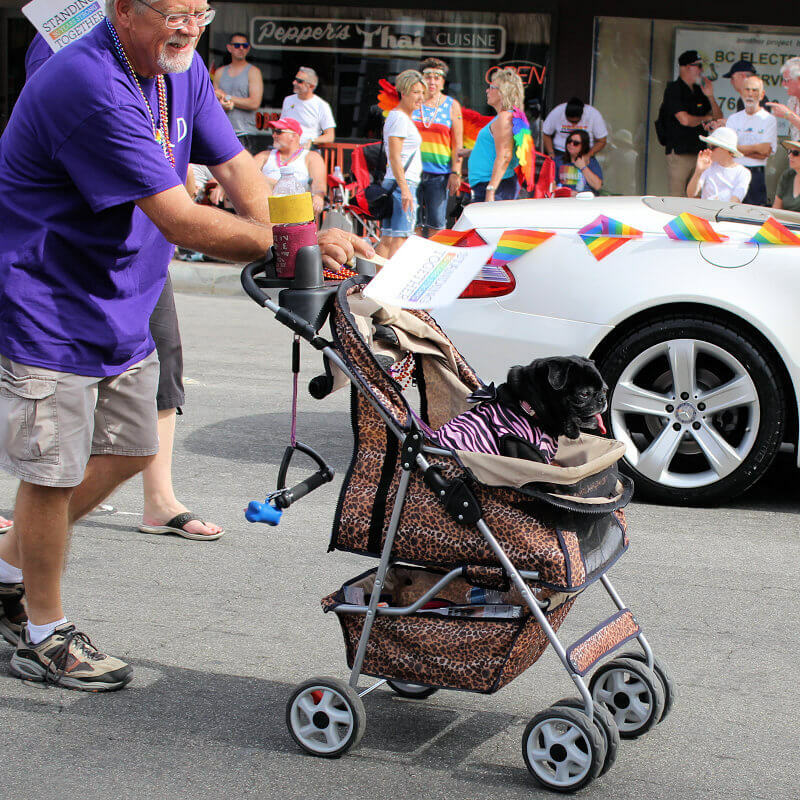 Prancing down the street or riding regally in a baby buggy. 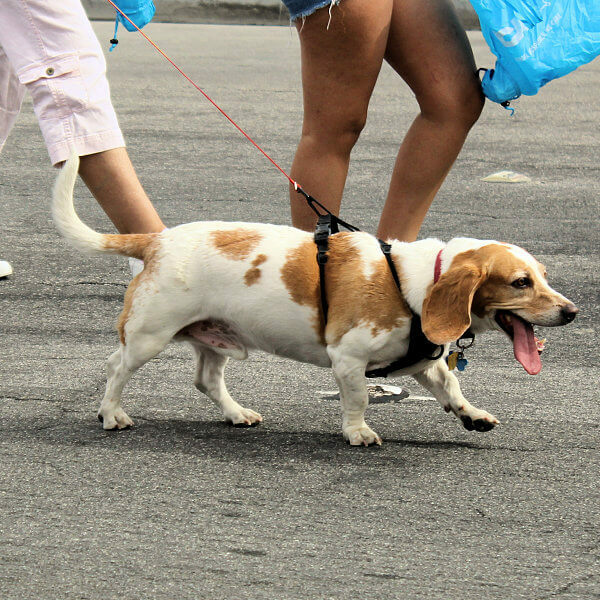 Or being carried. 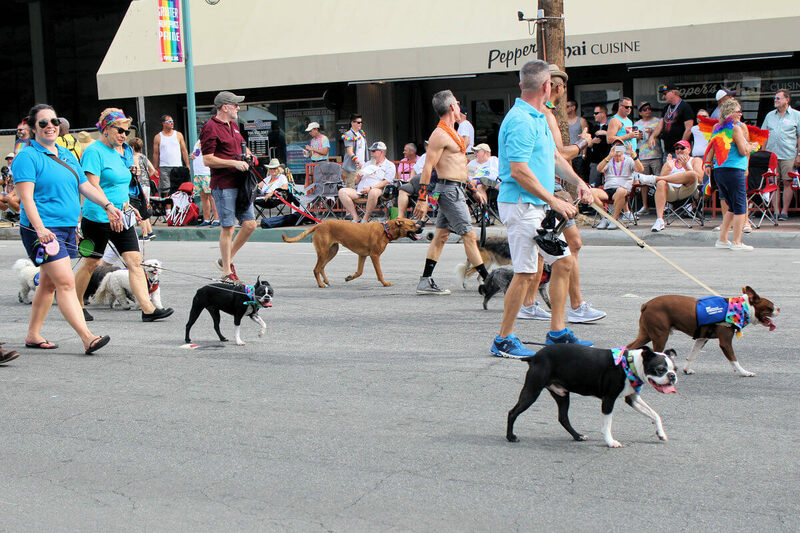 Dogs everywhere! 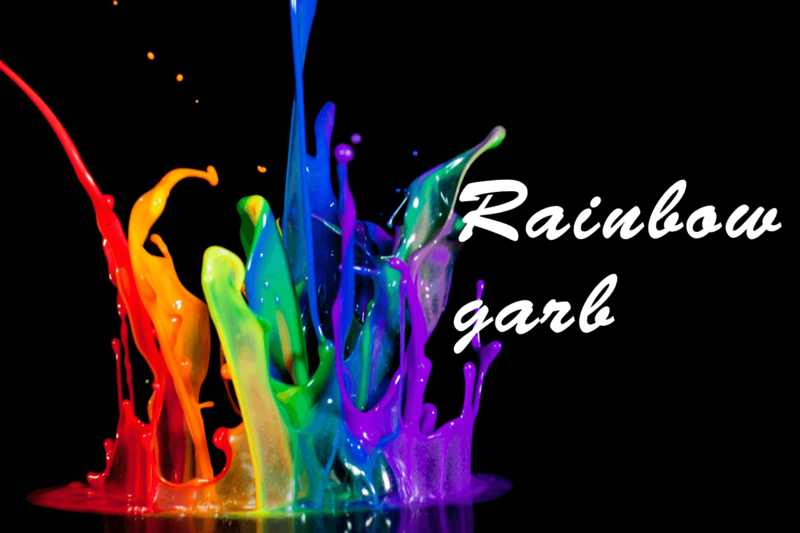 Rainbow garb. 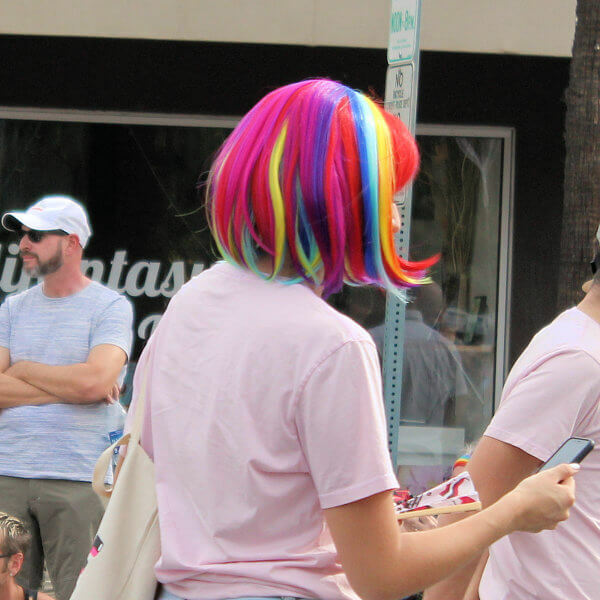 Rainbow stylings seemed to be an "in" thing this year: lots of rainbow tutus (on boys and dogs), rainbow leggings, rainbow dresses, rainbow wigs, rainbow wings. 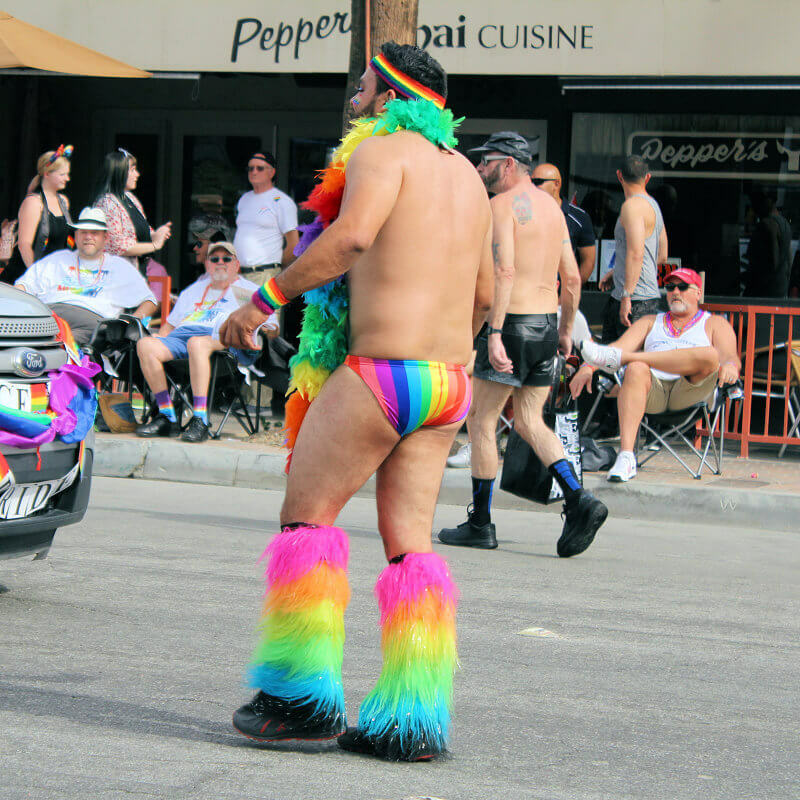 You name it, somebody had it in rainbow.